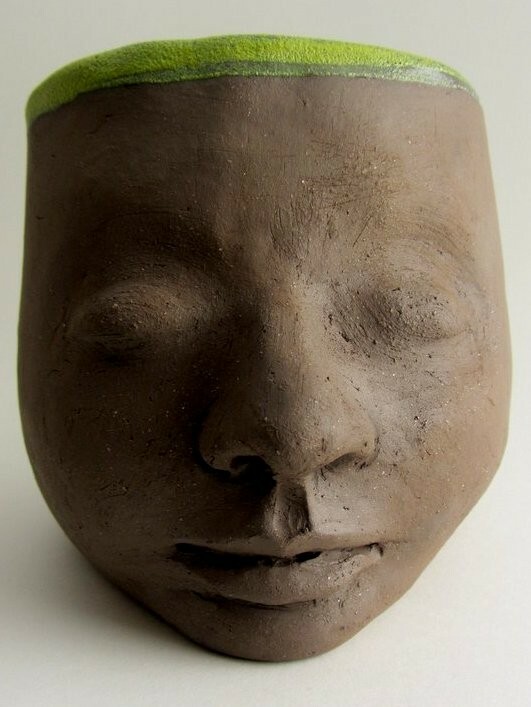 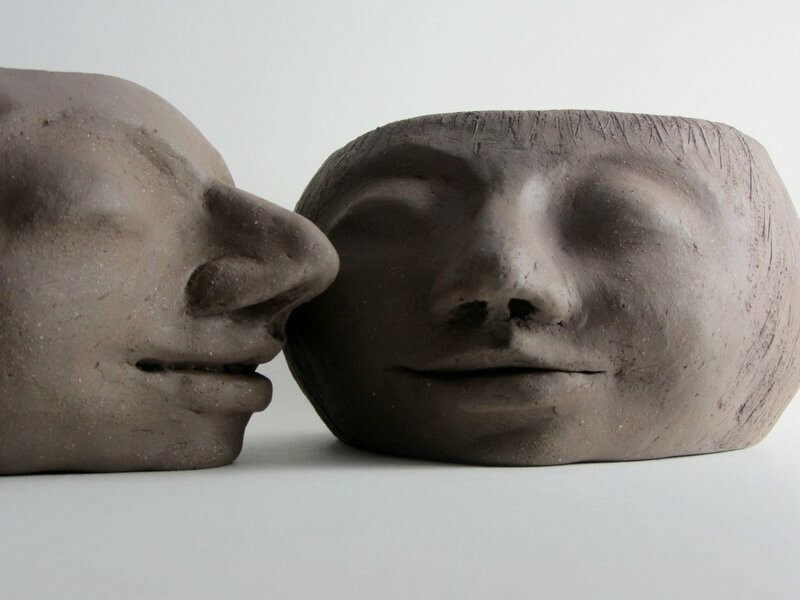 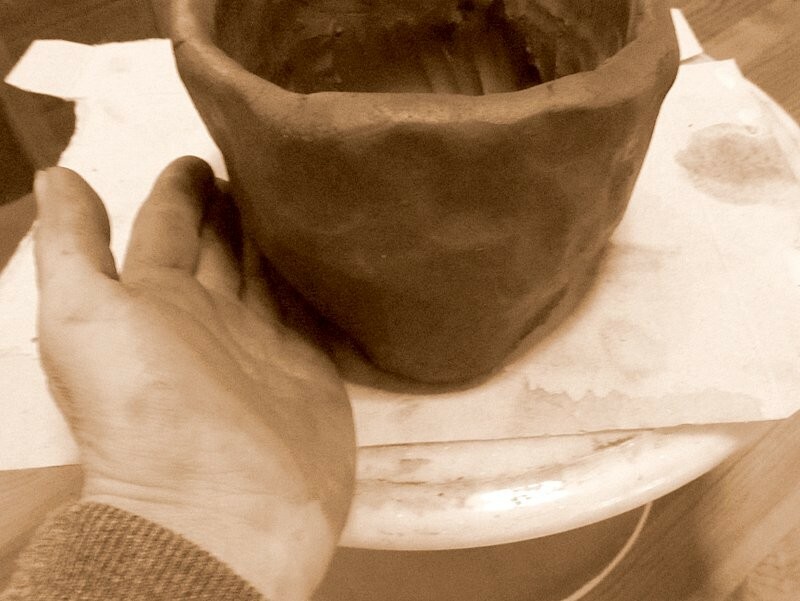 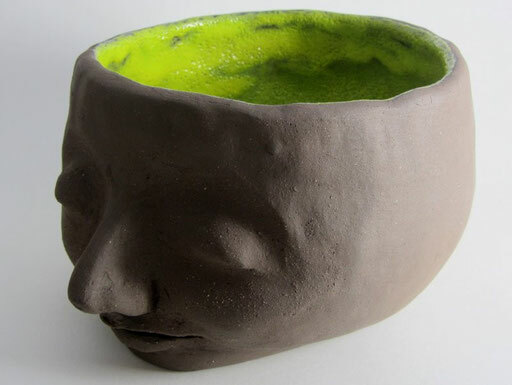 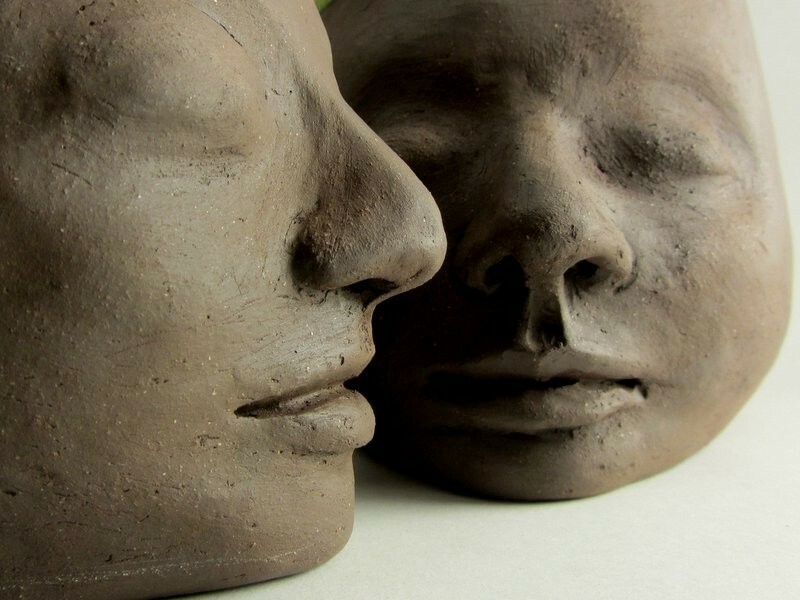 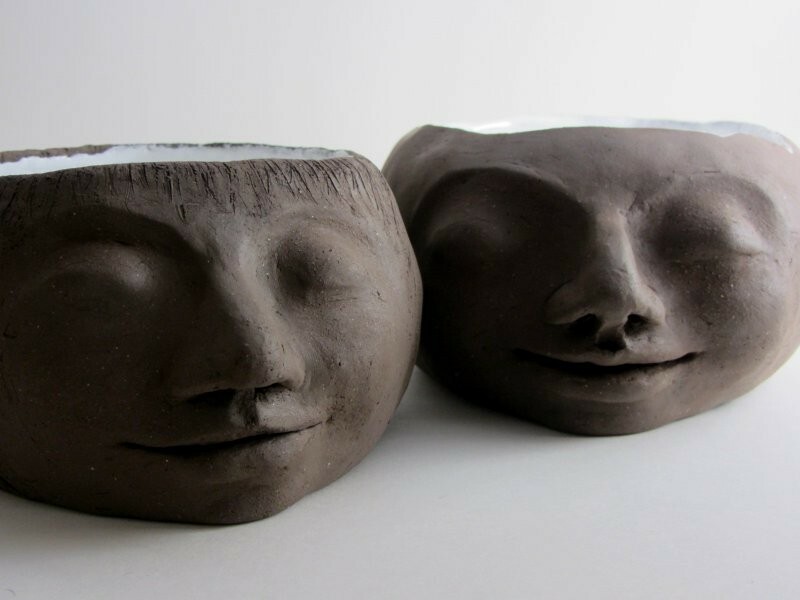 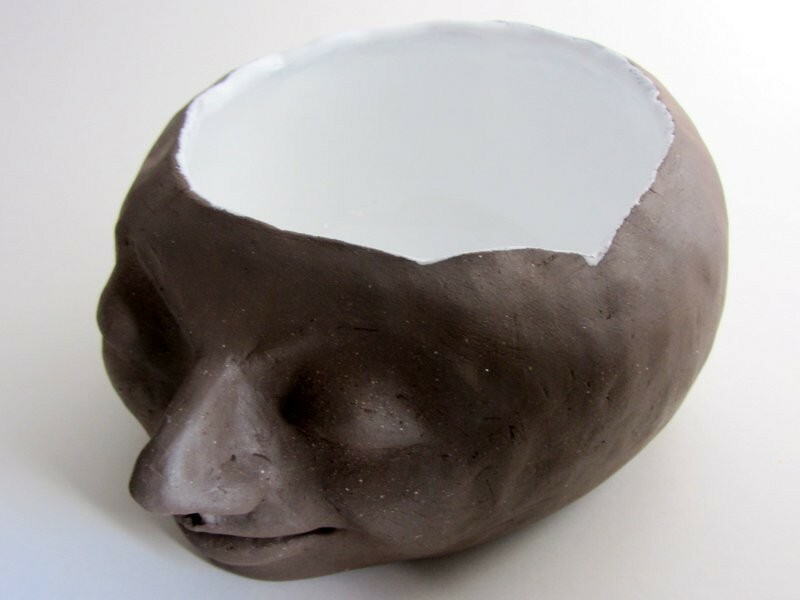 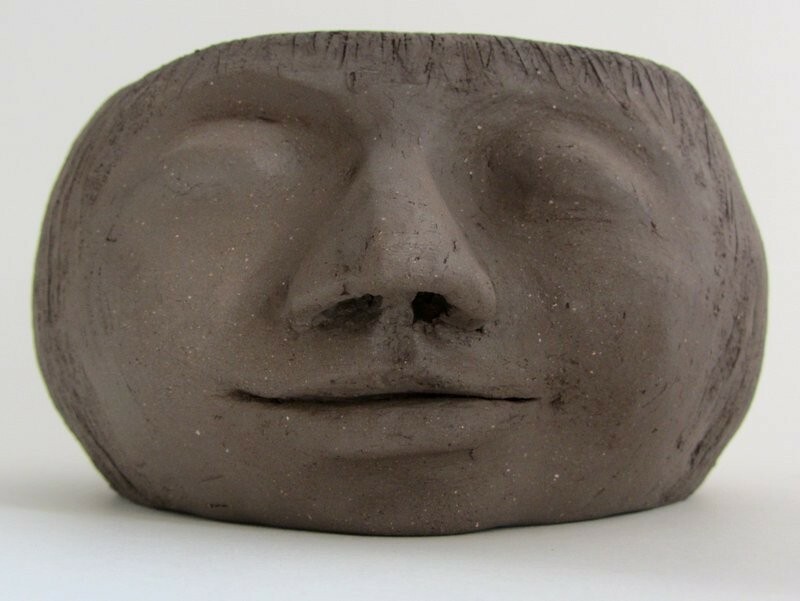 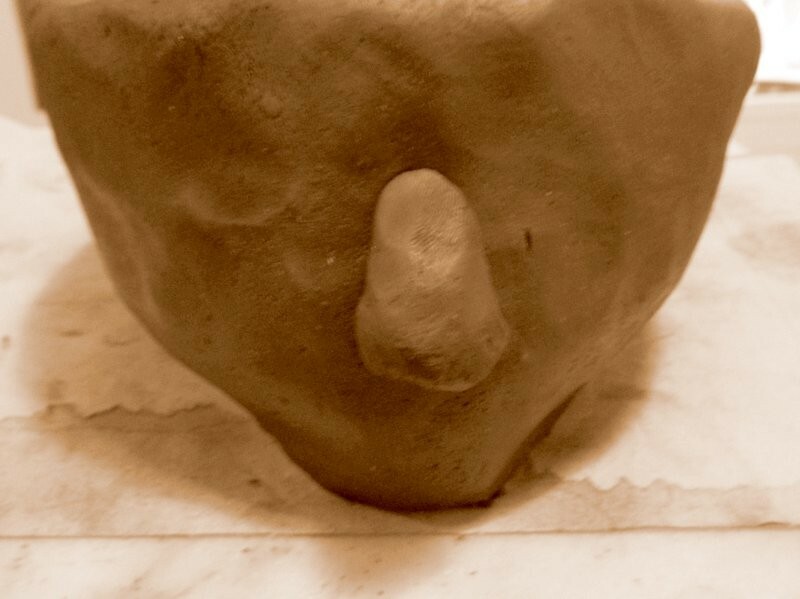 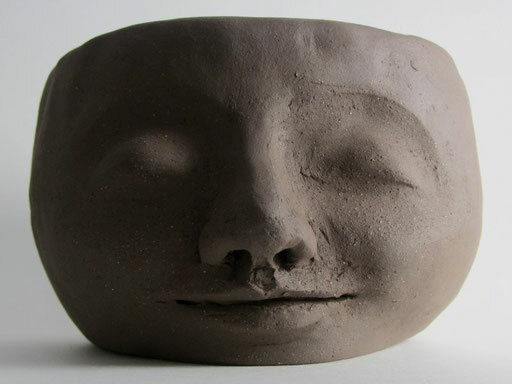 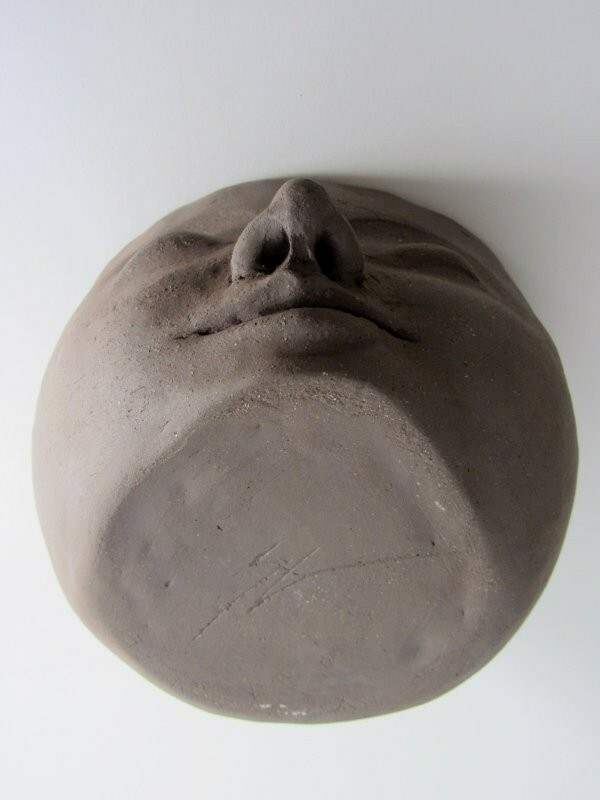 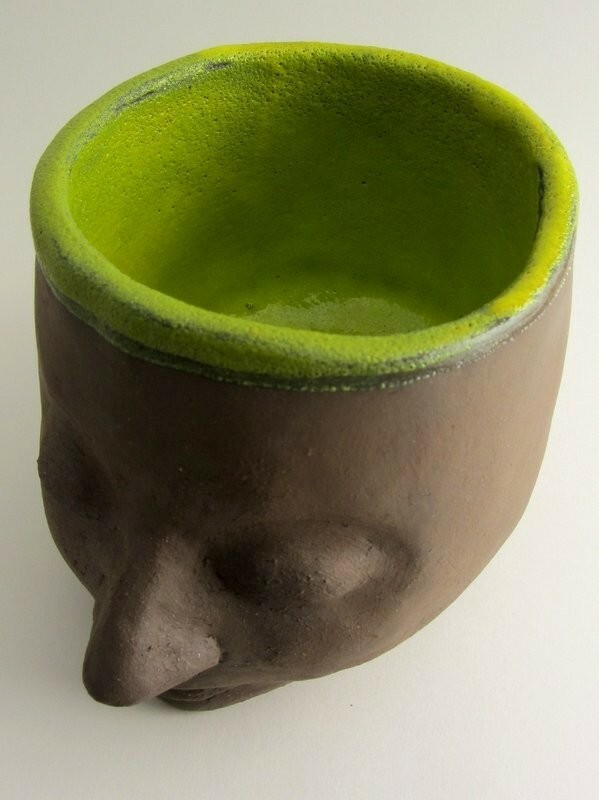 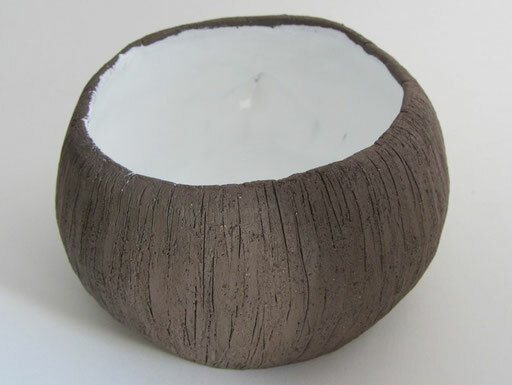 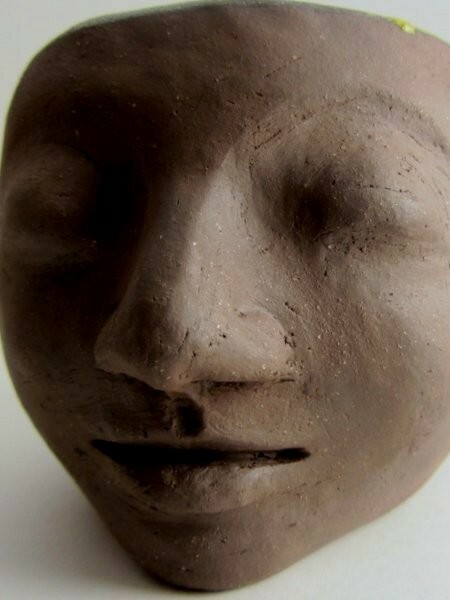 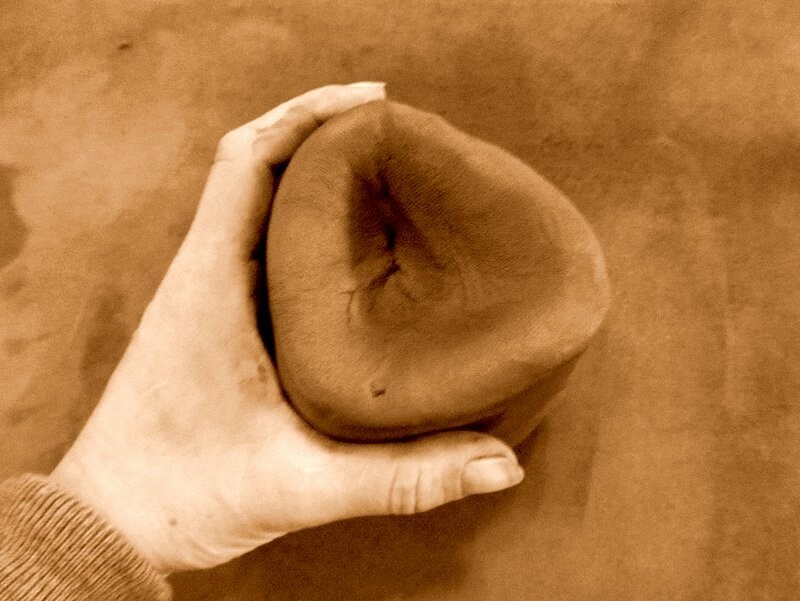 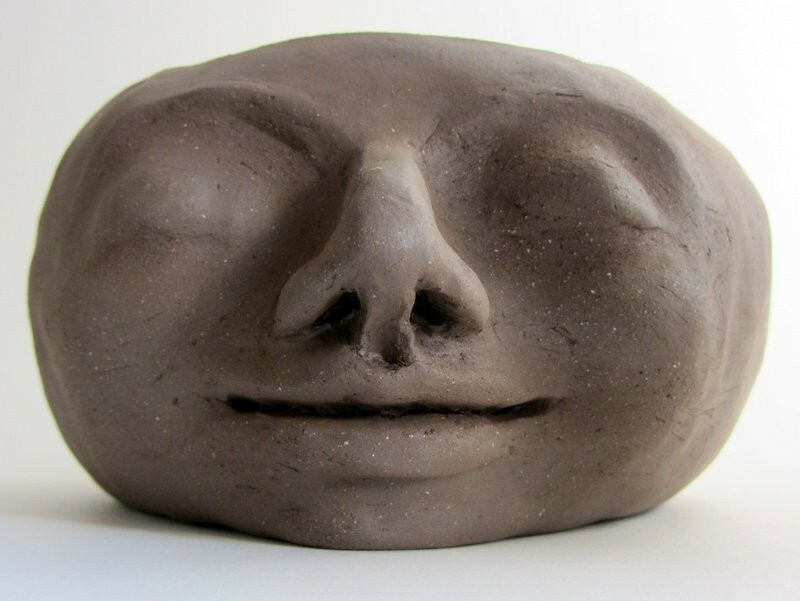 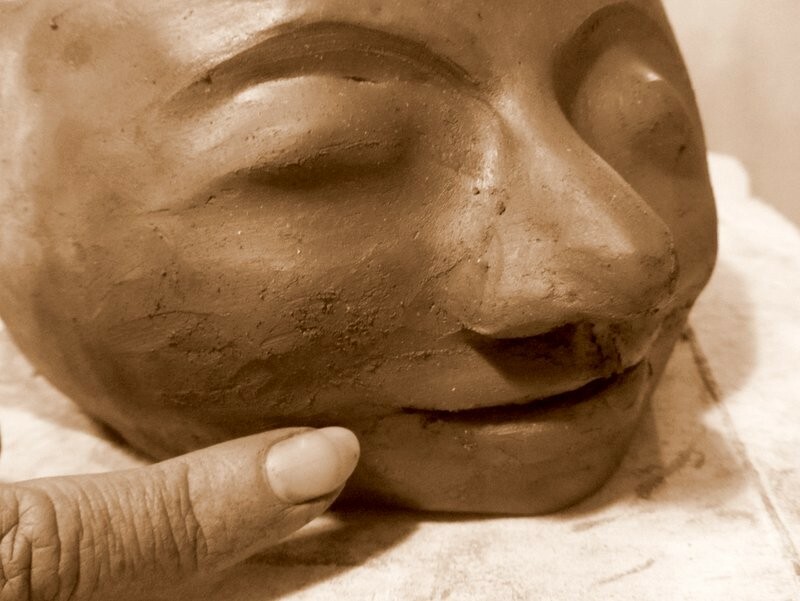 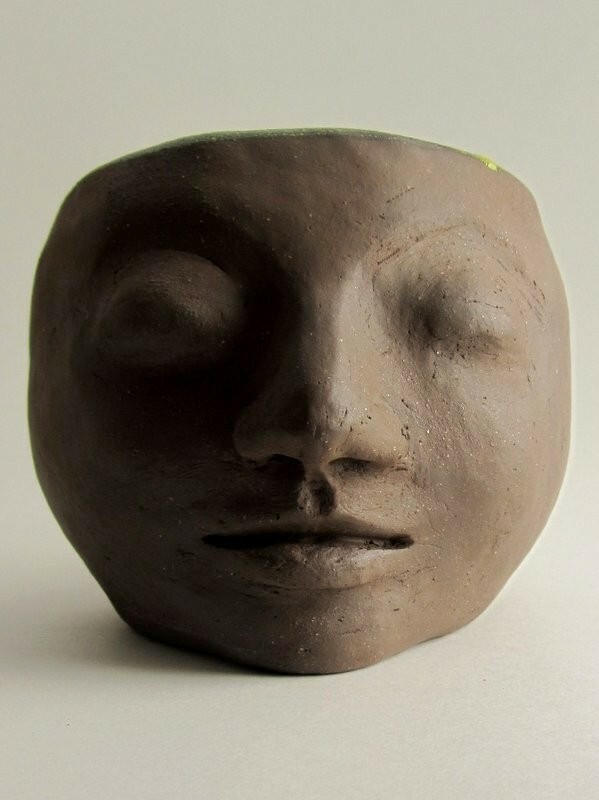 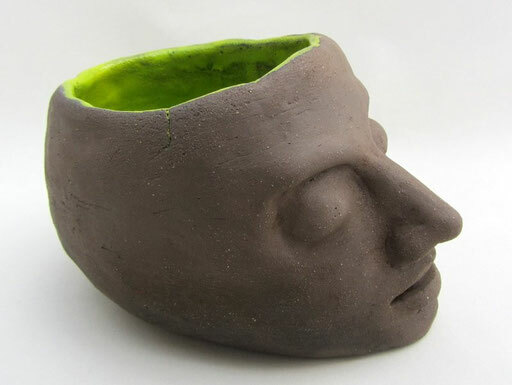 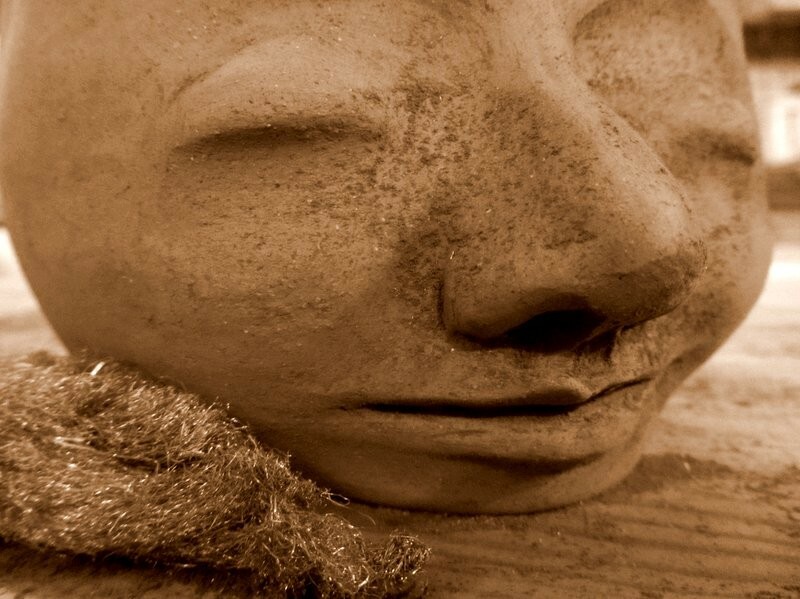 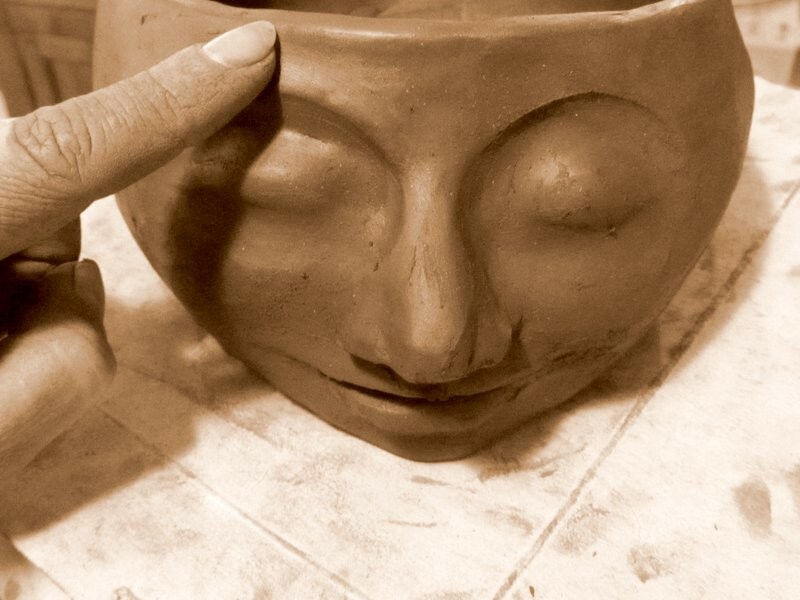 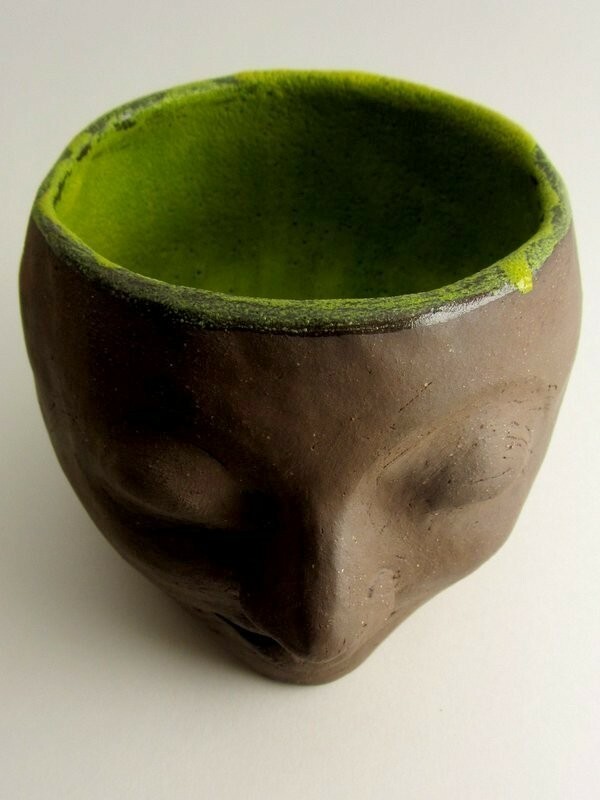 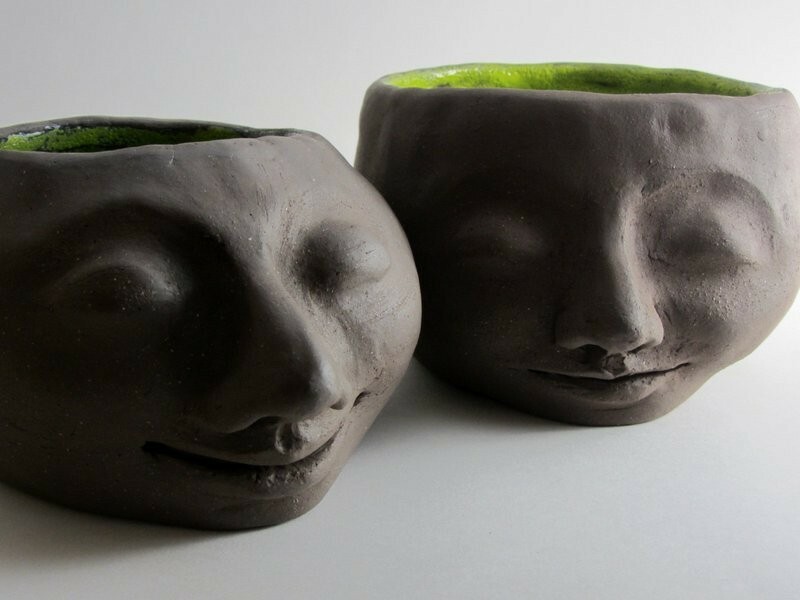 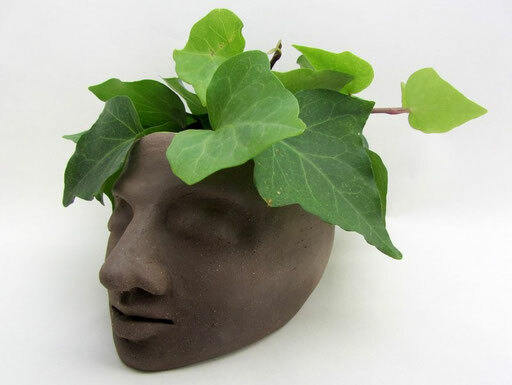 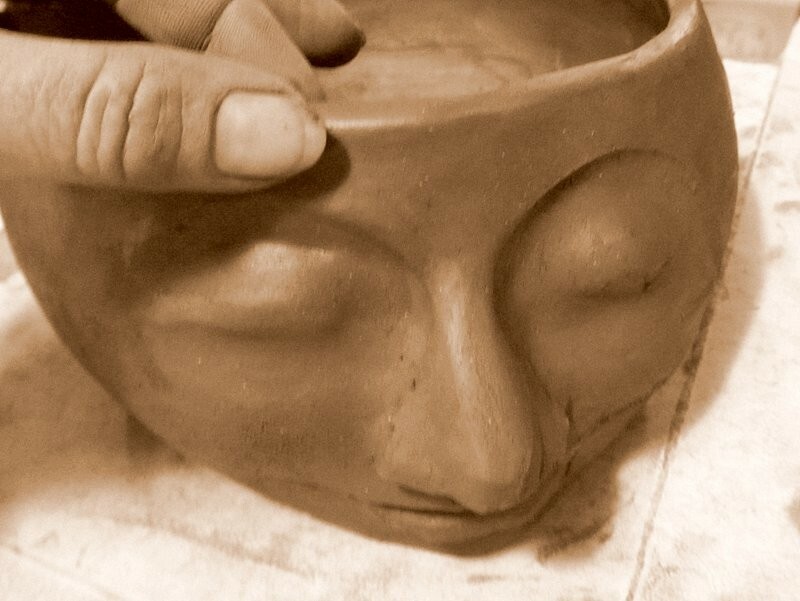 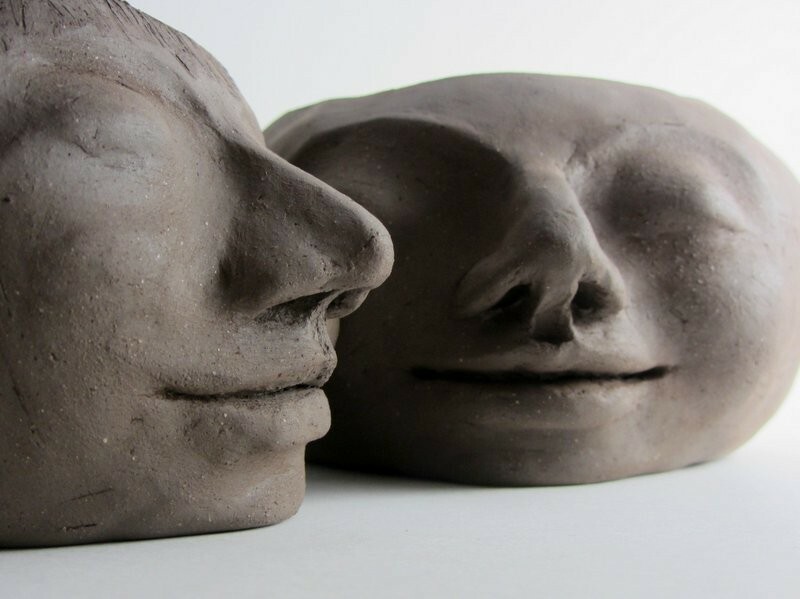 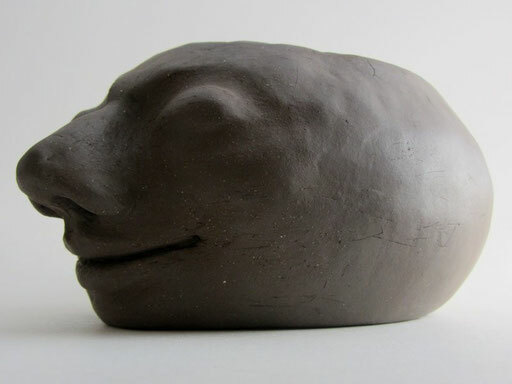 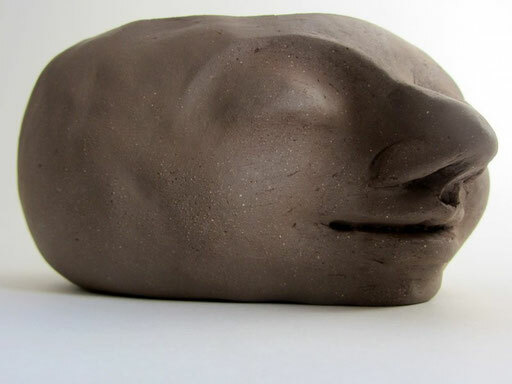 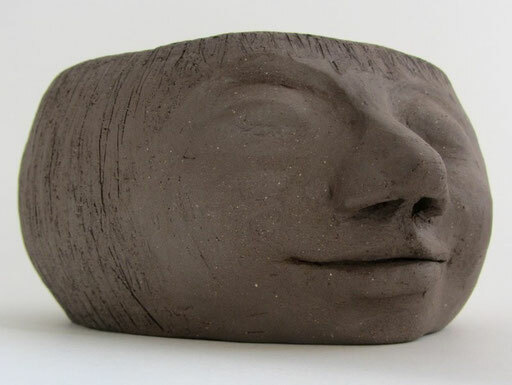 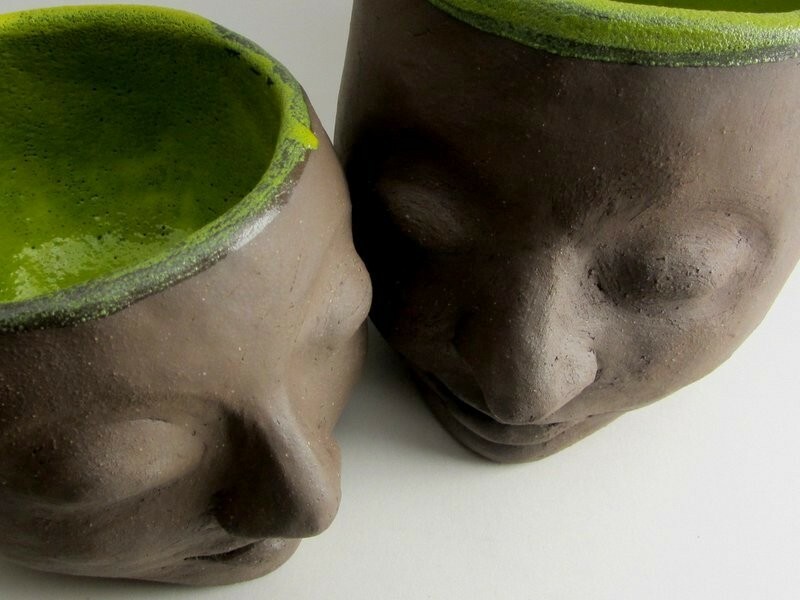 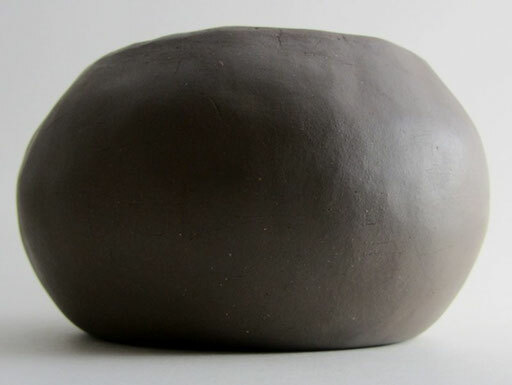 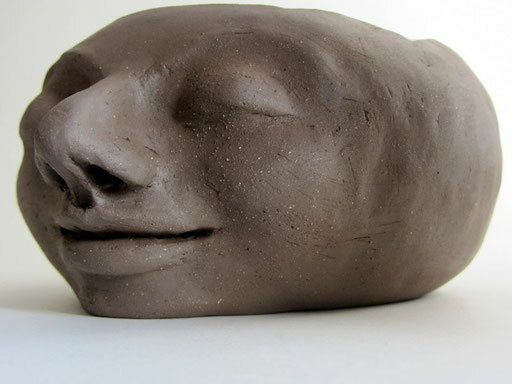 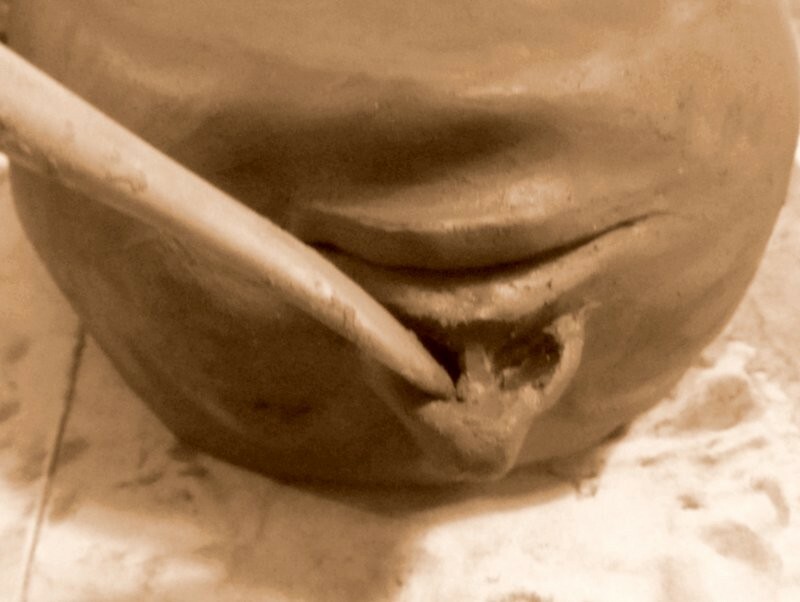 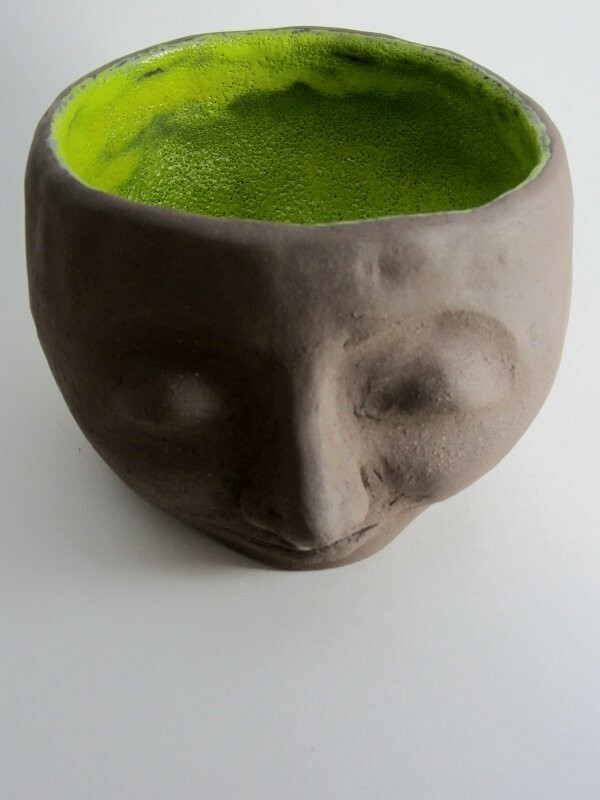 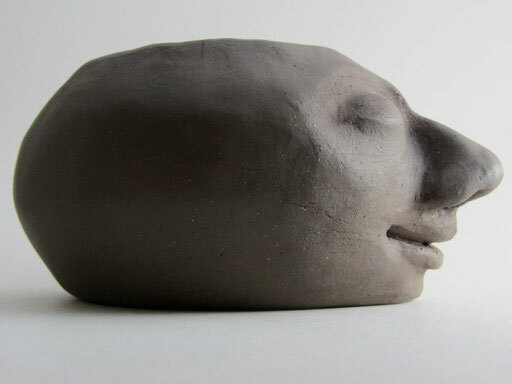 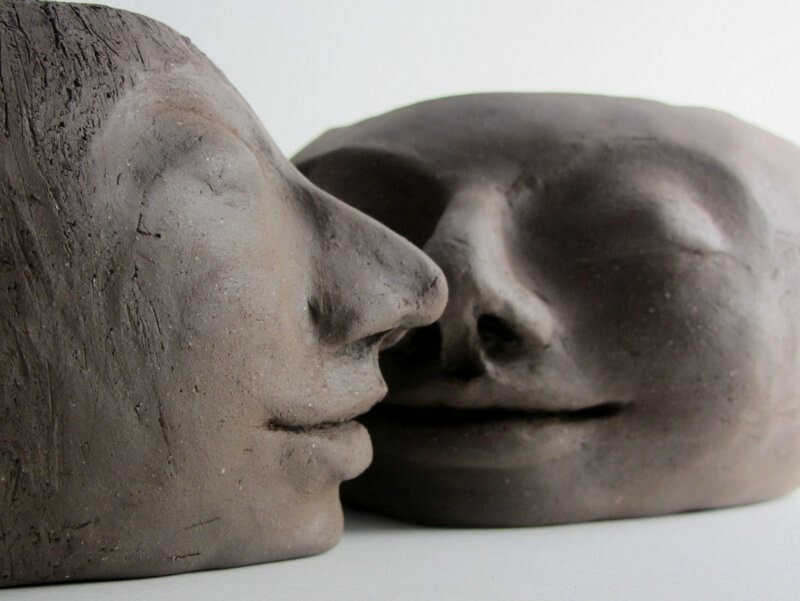 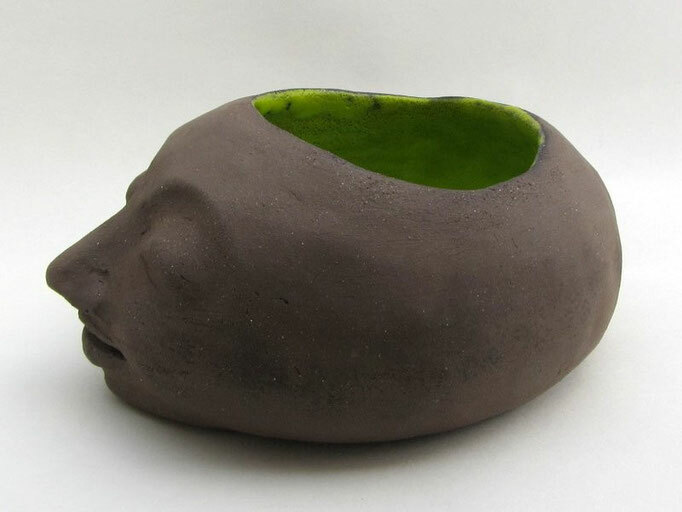 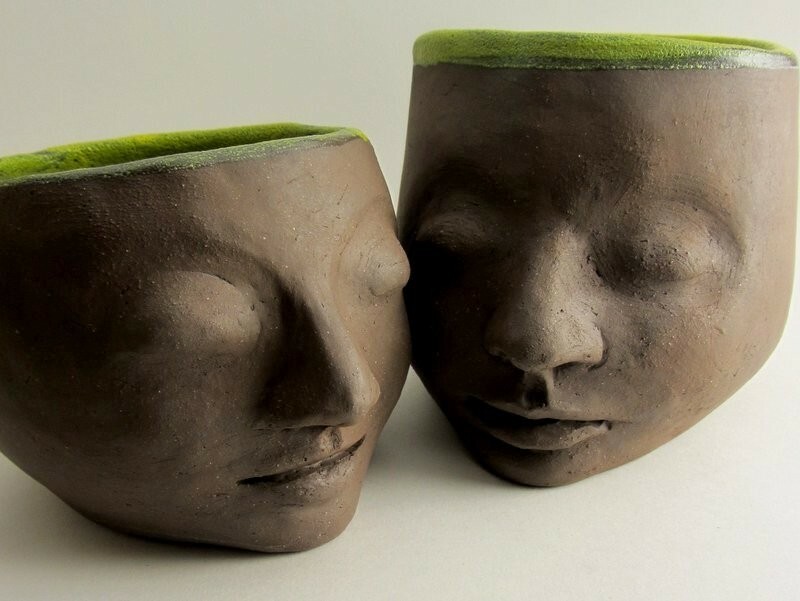 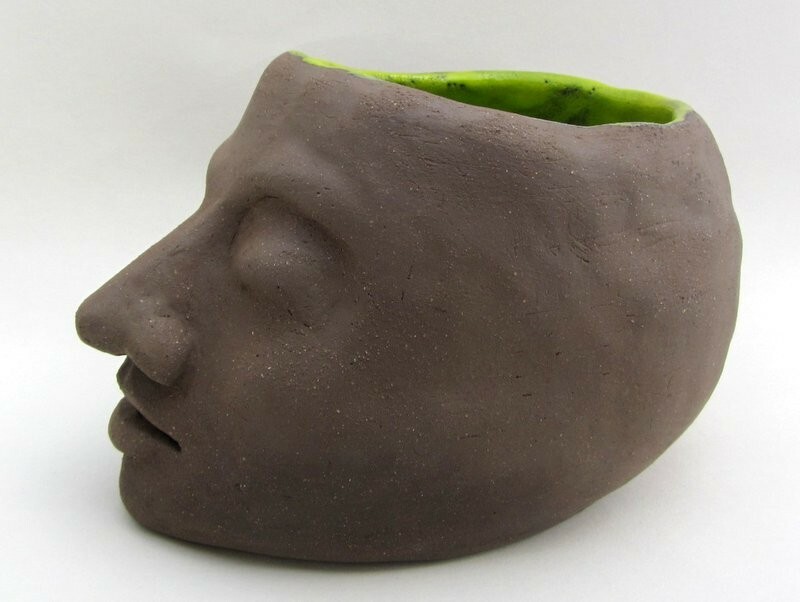 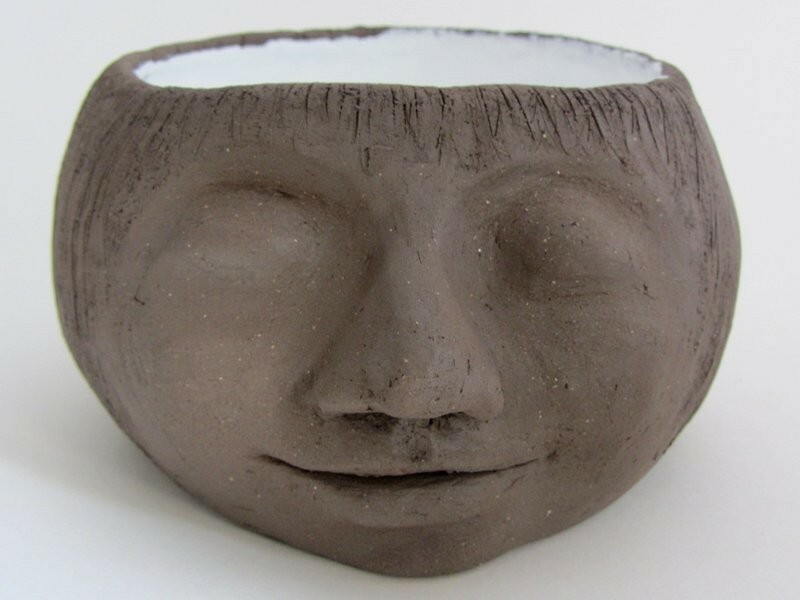 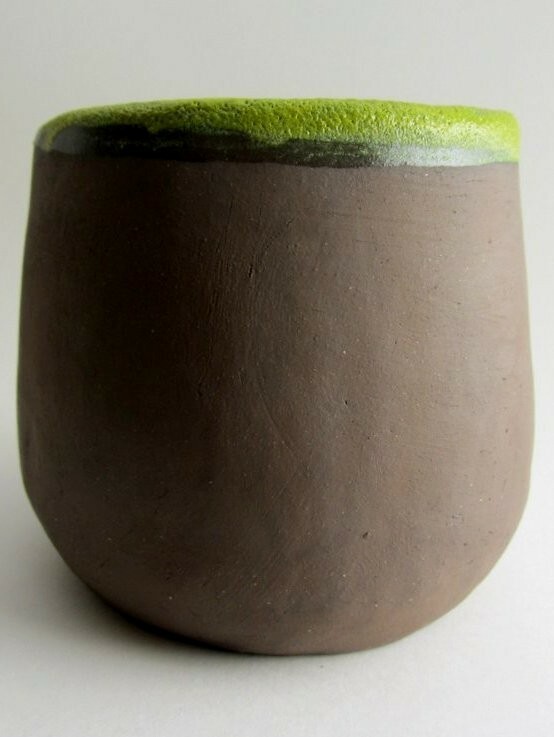 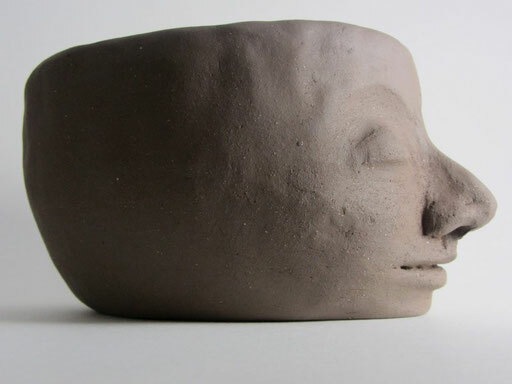 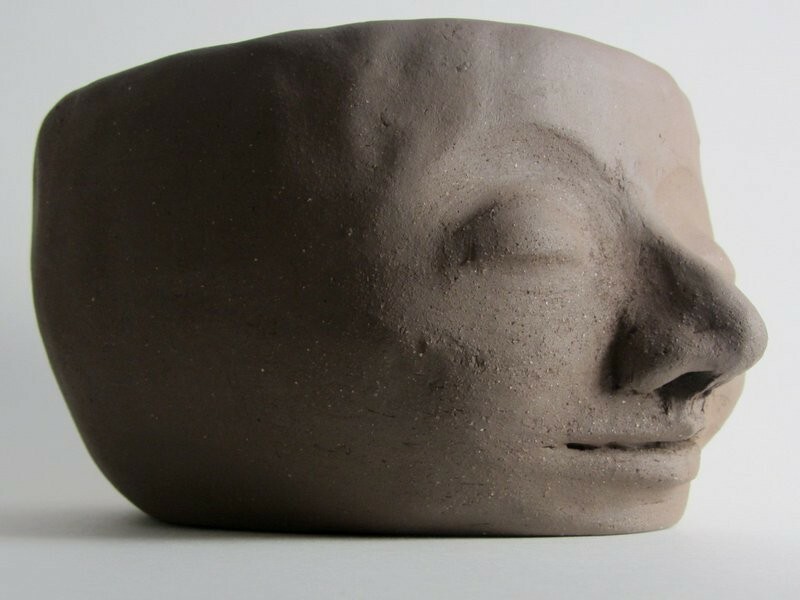 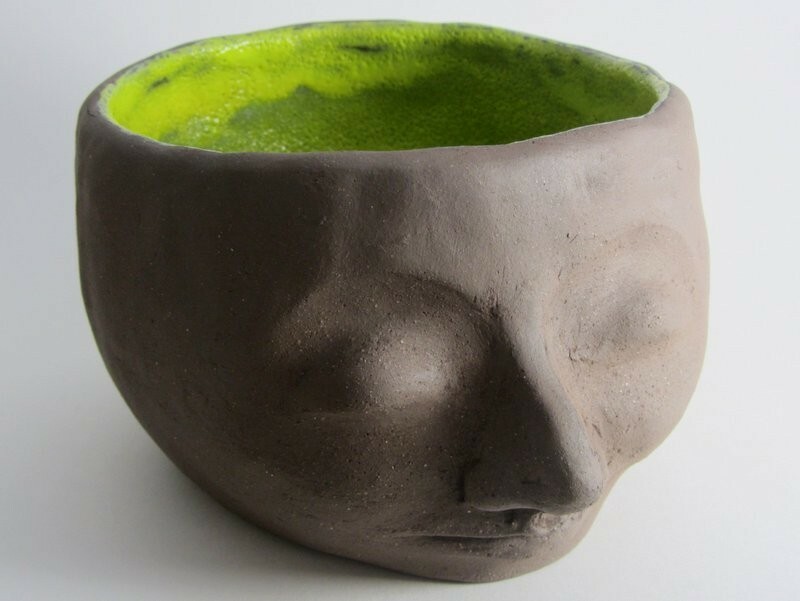 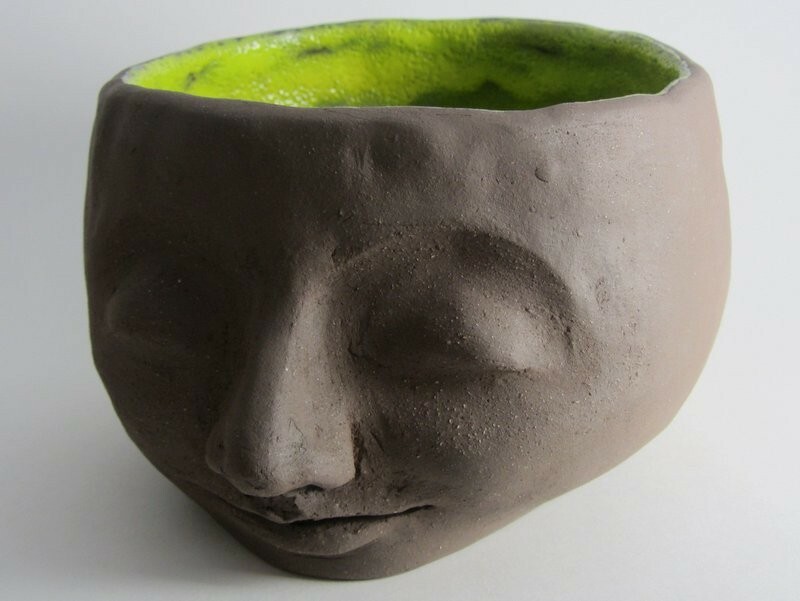 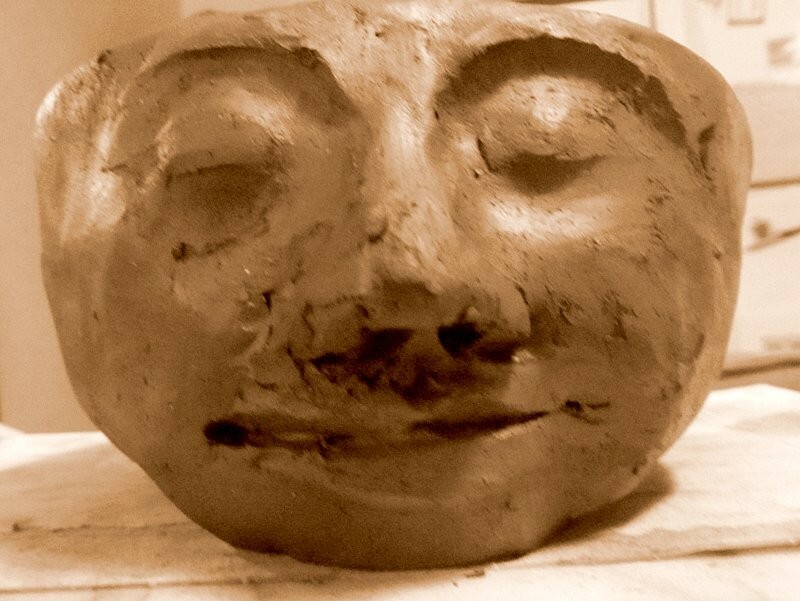 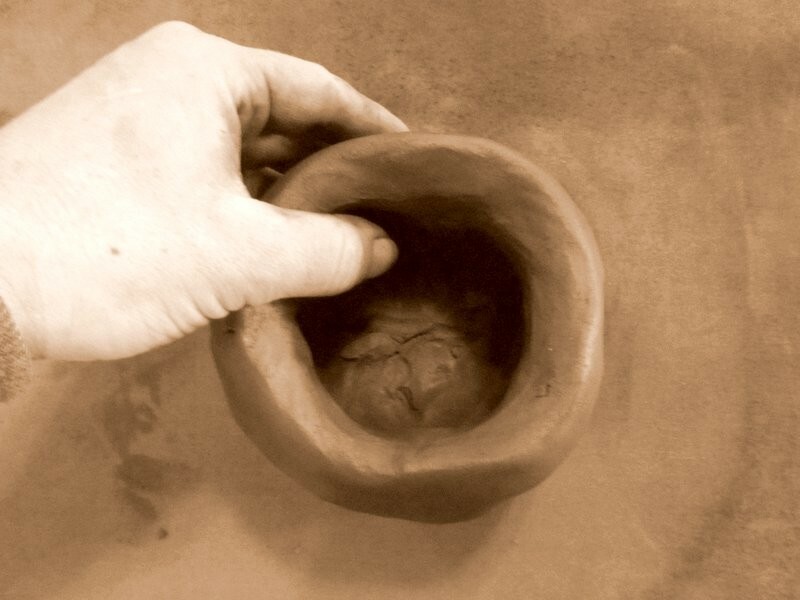 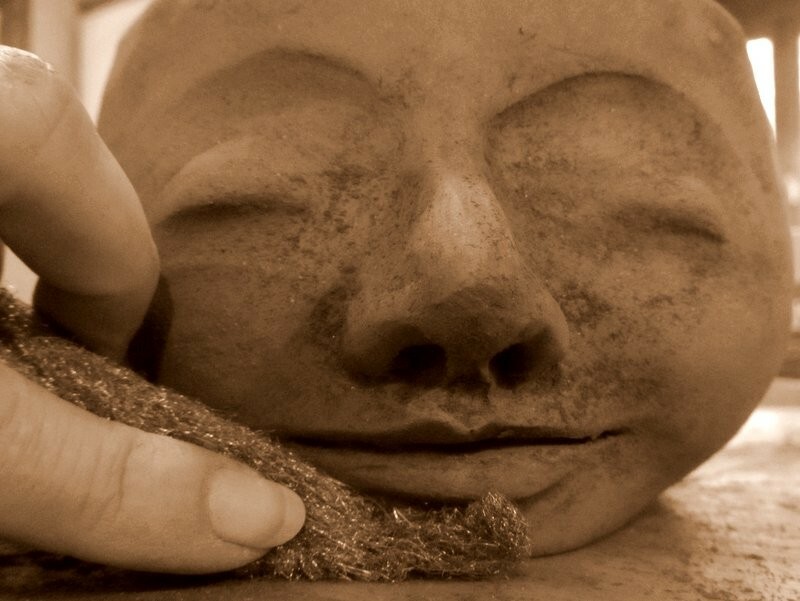 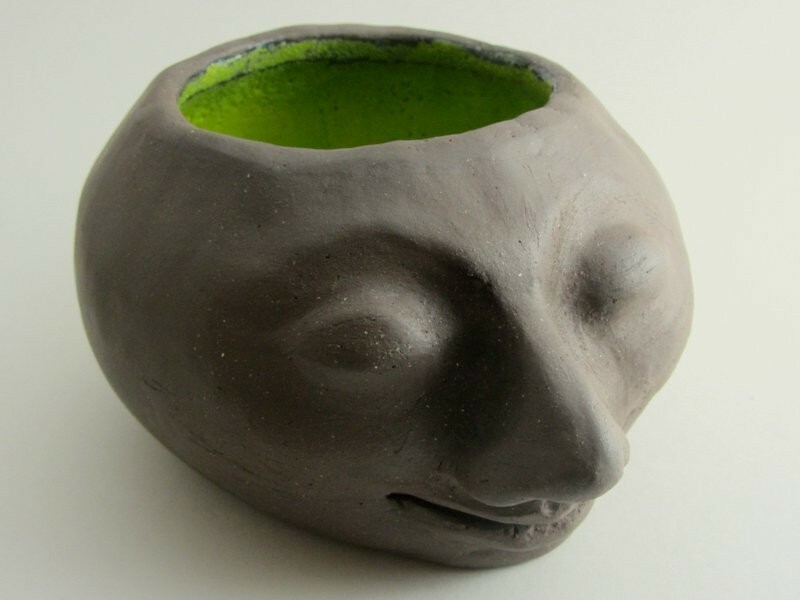 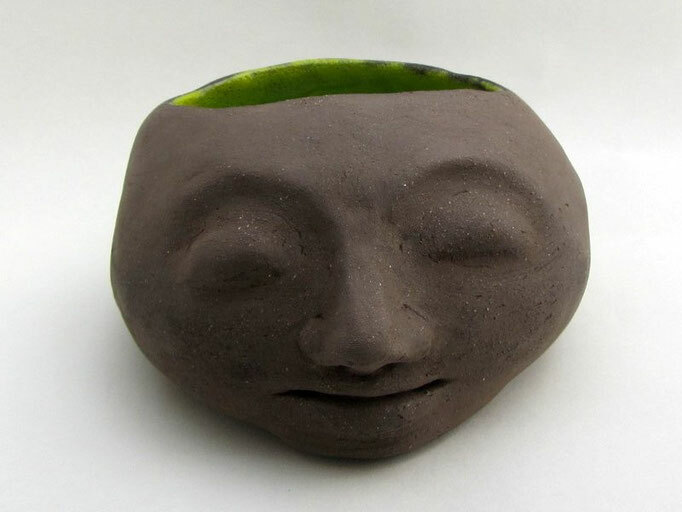 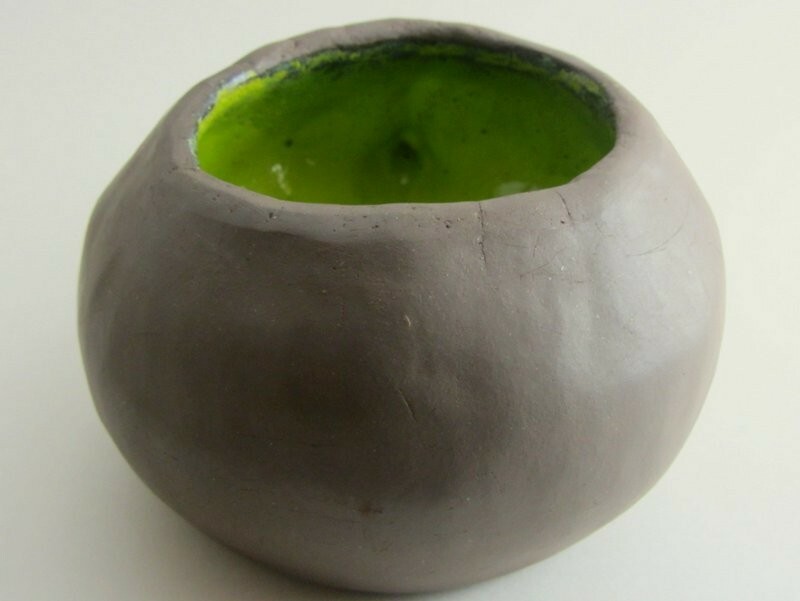 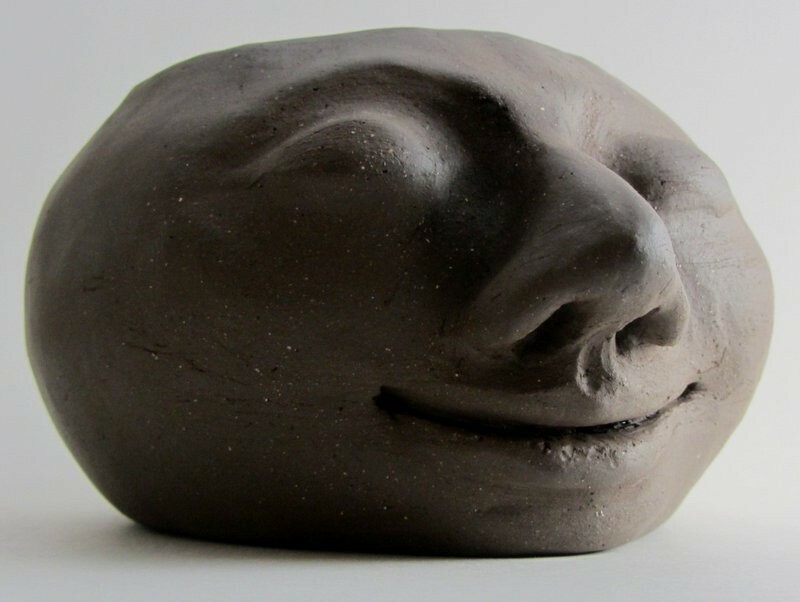 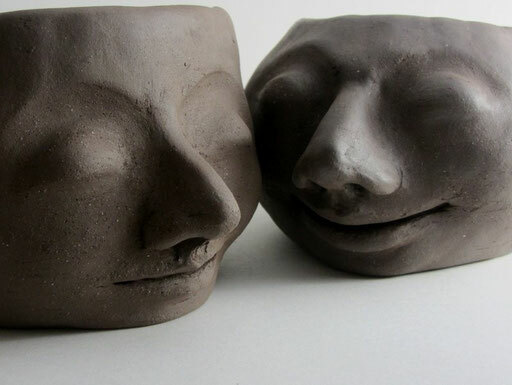 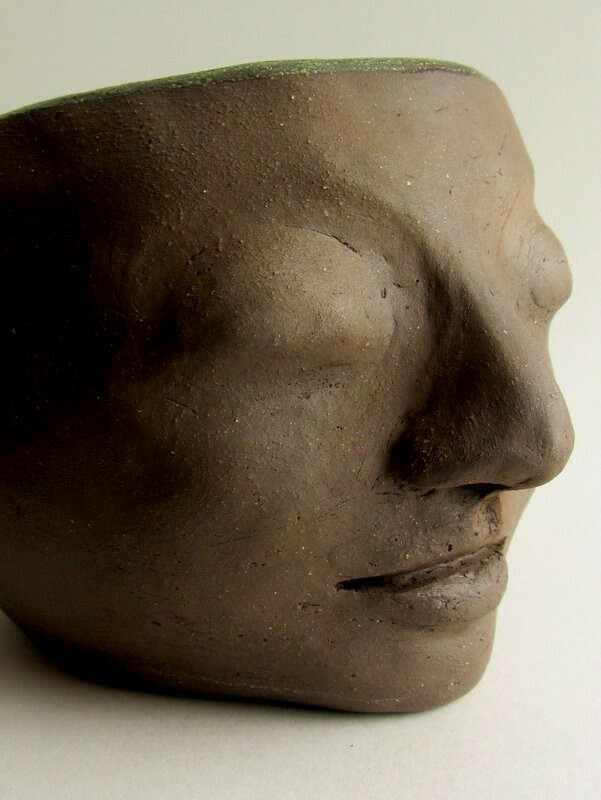 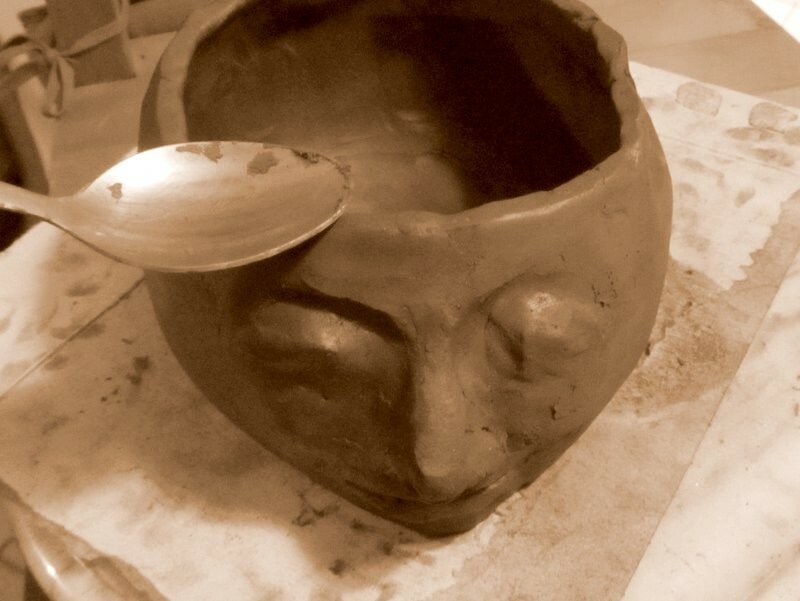 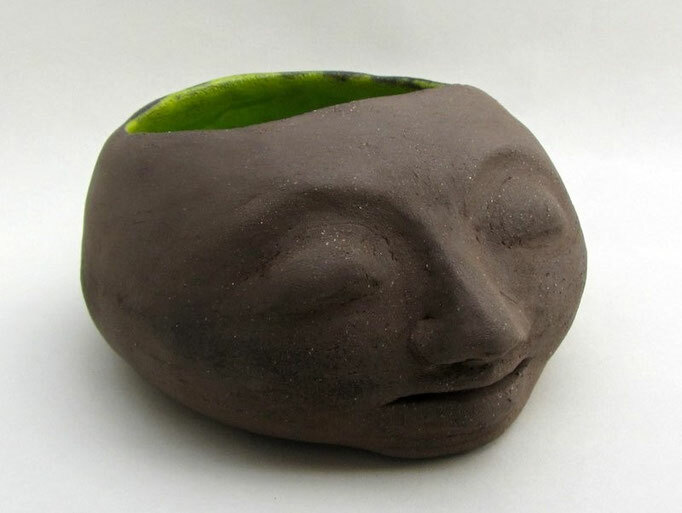 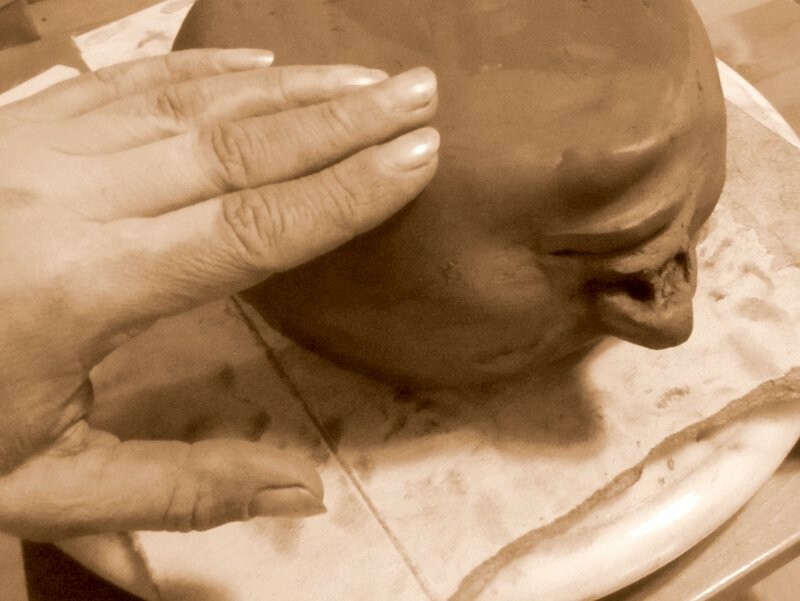 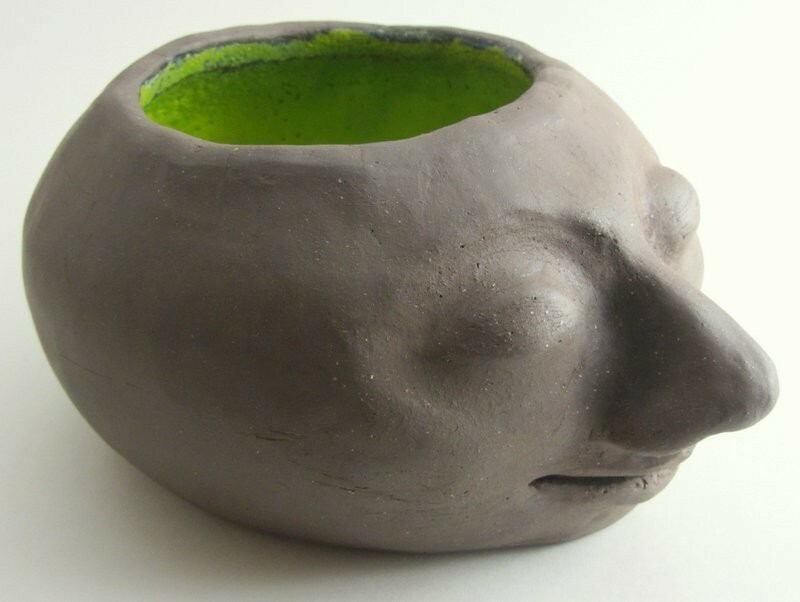 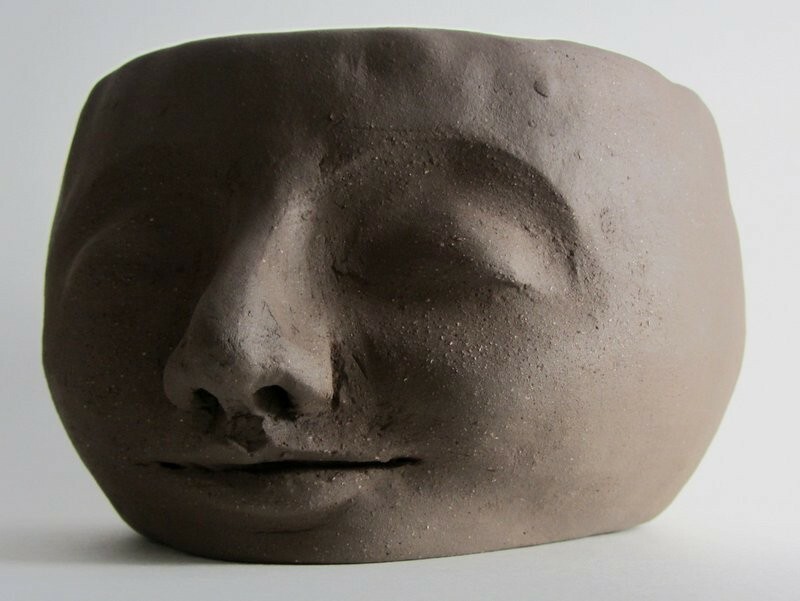 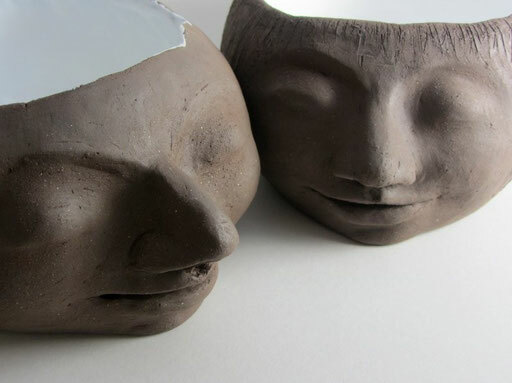 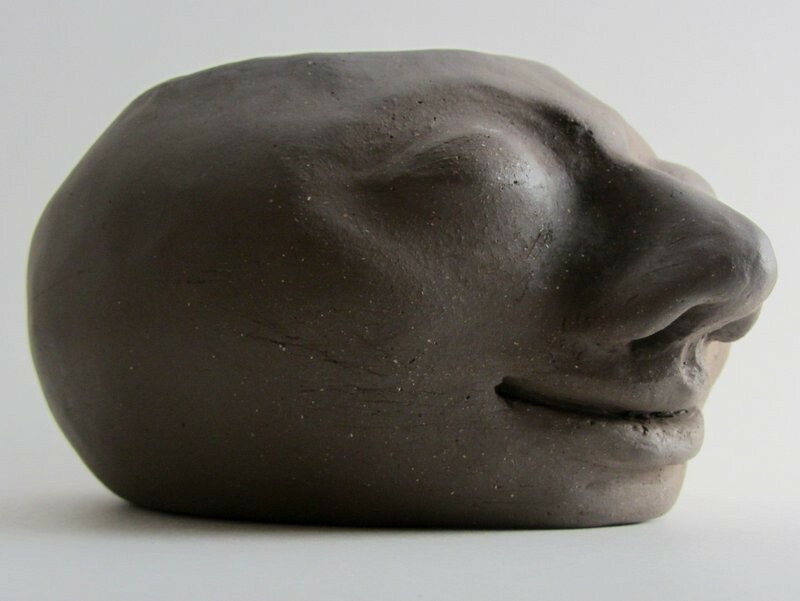 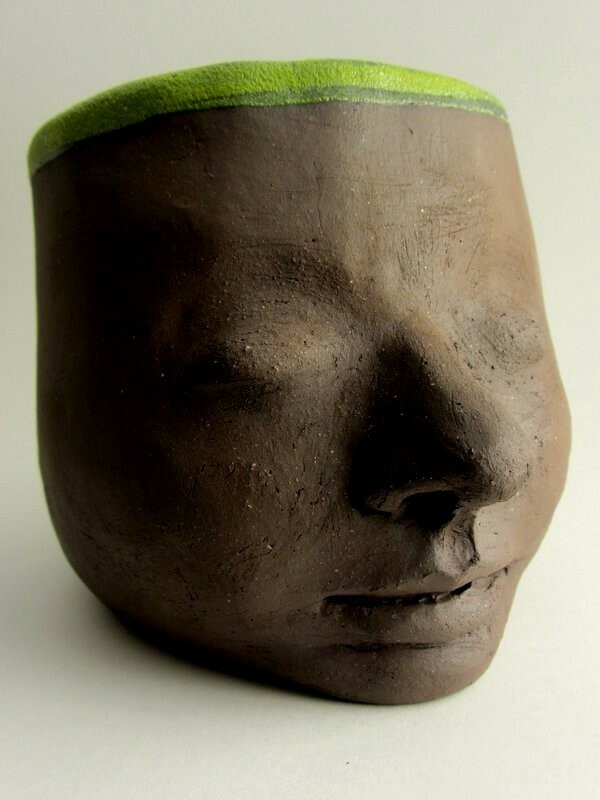 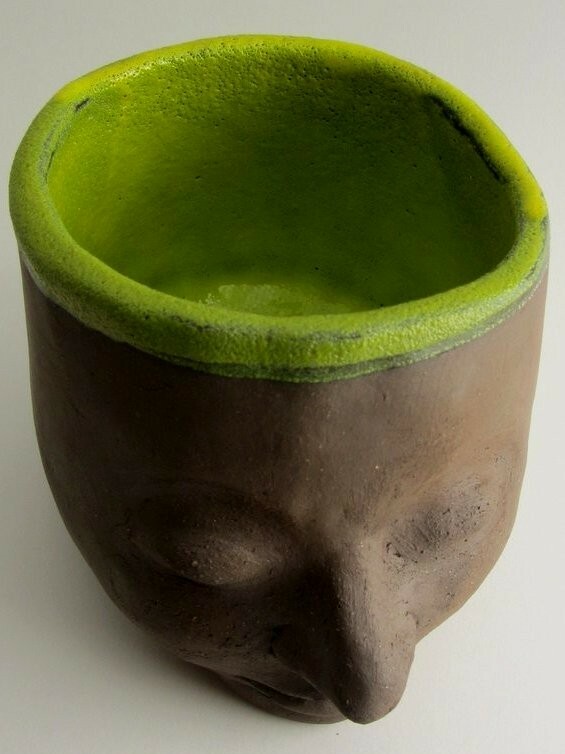 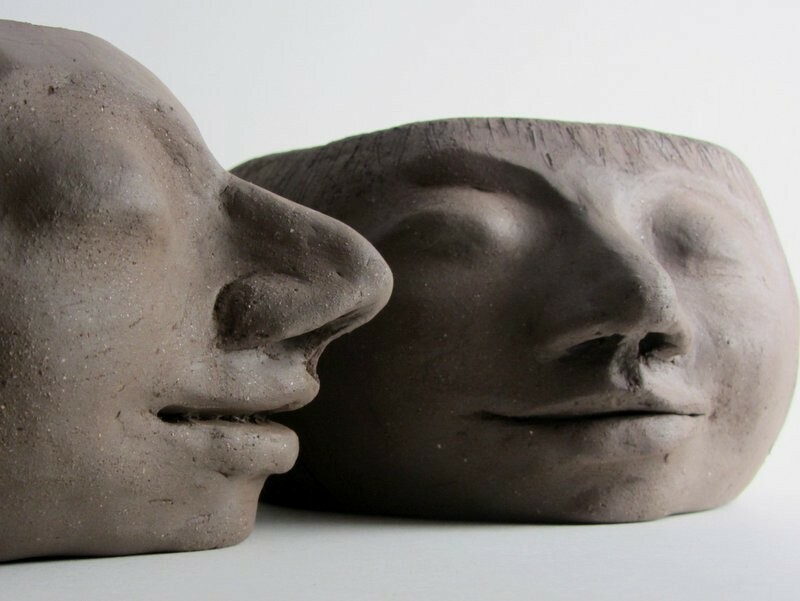 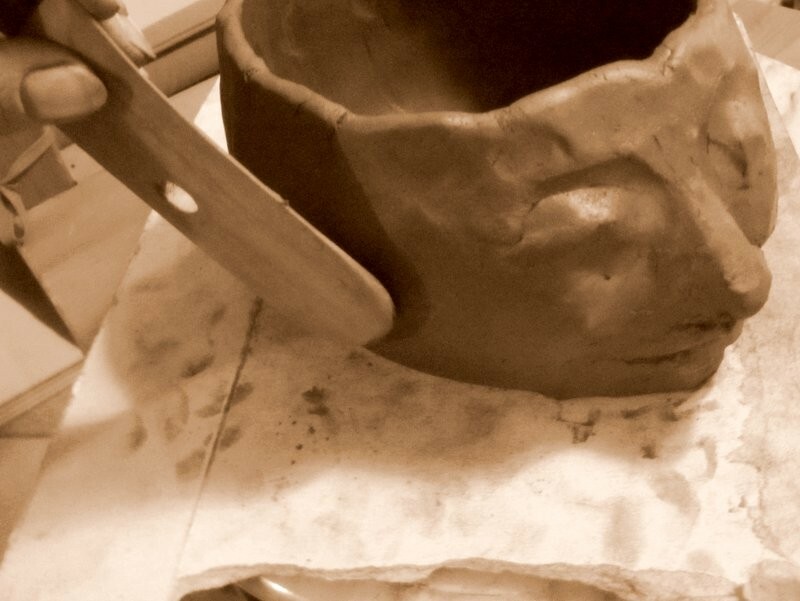 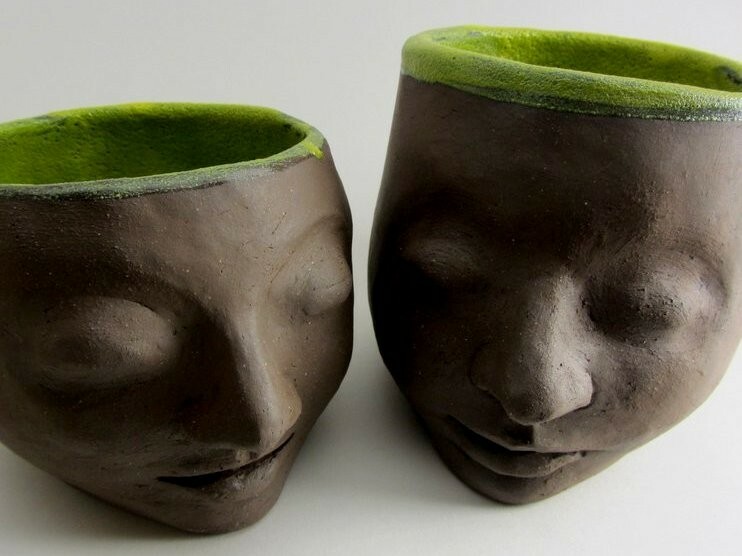 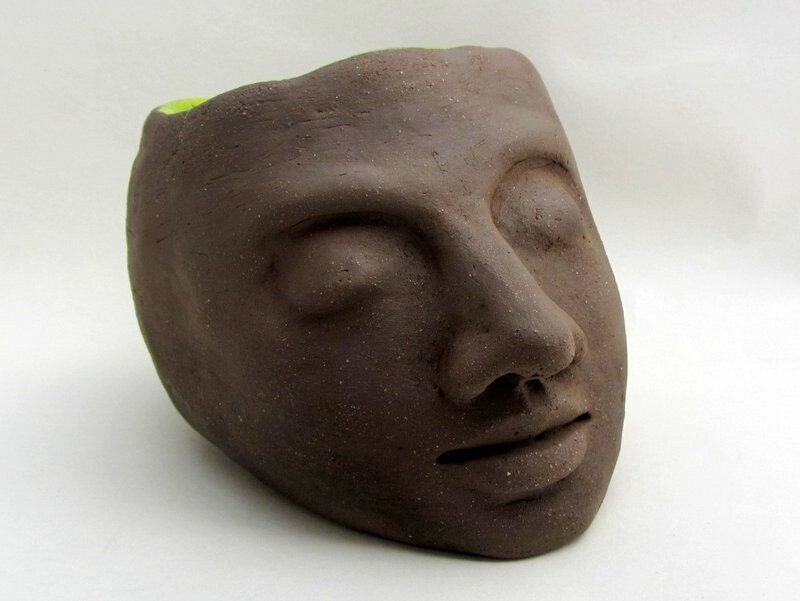 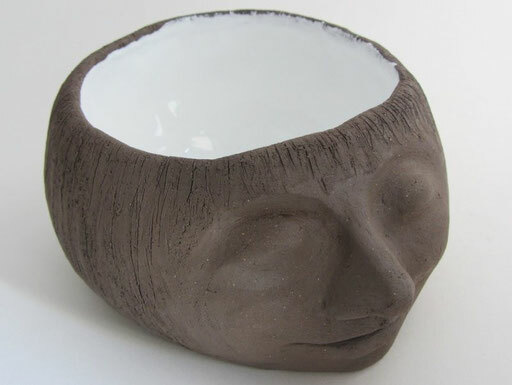 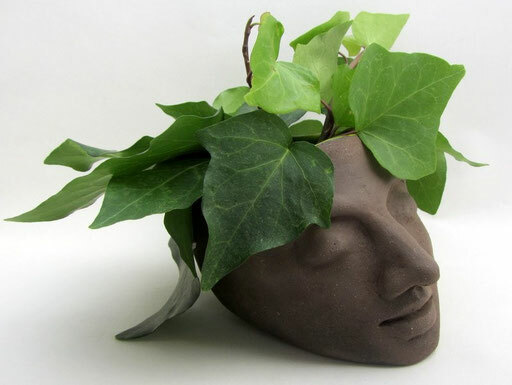 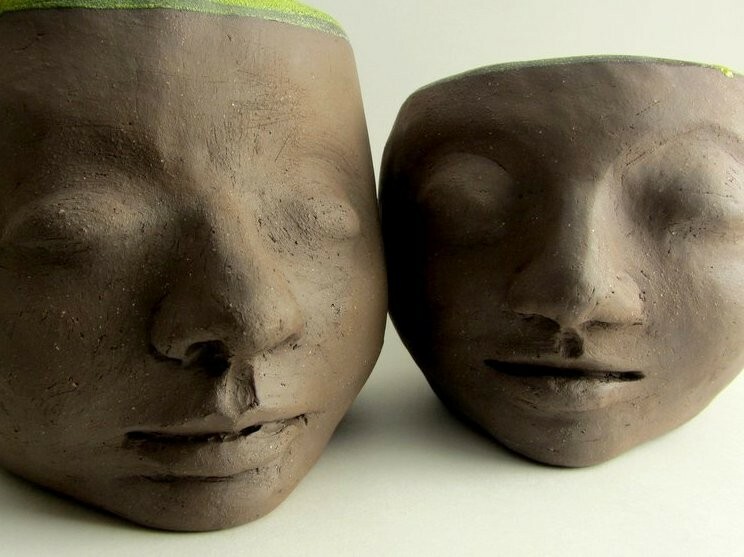 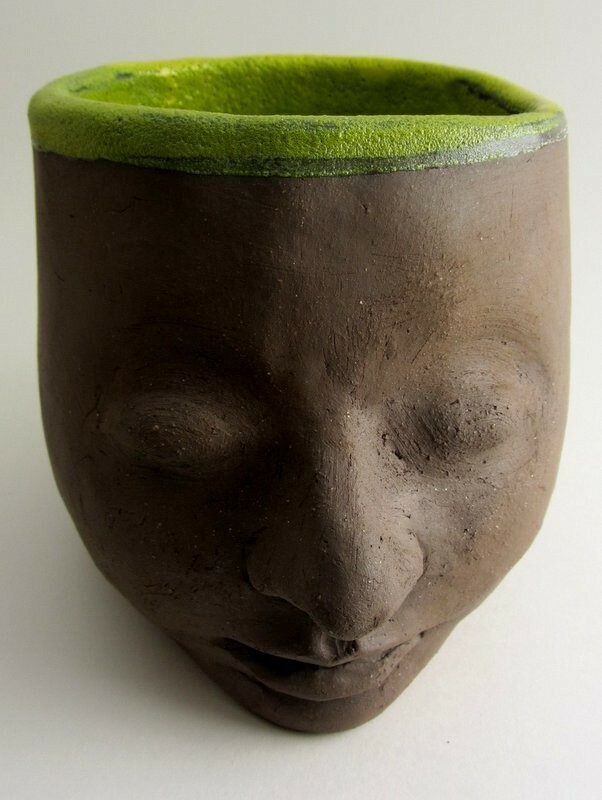 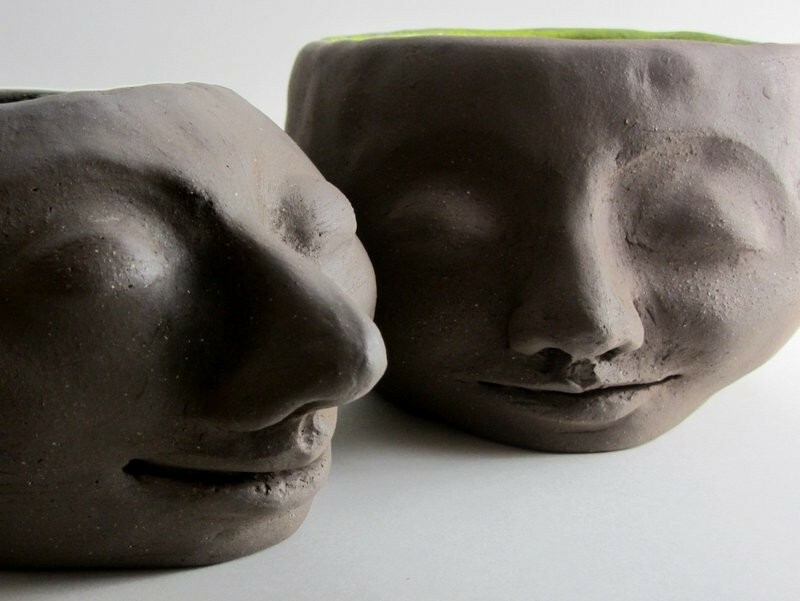 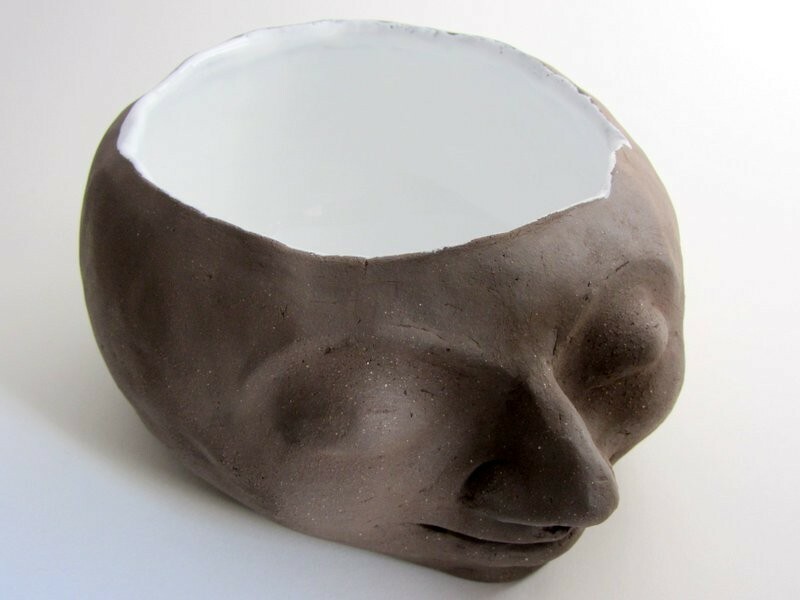 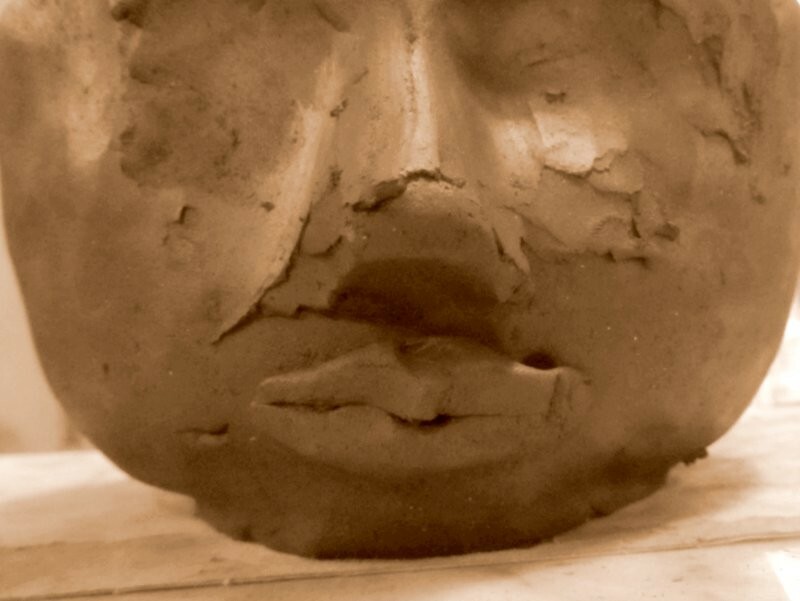 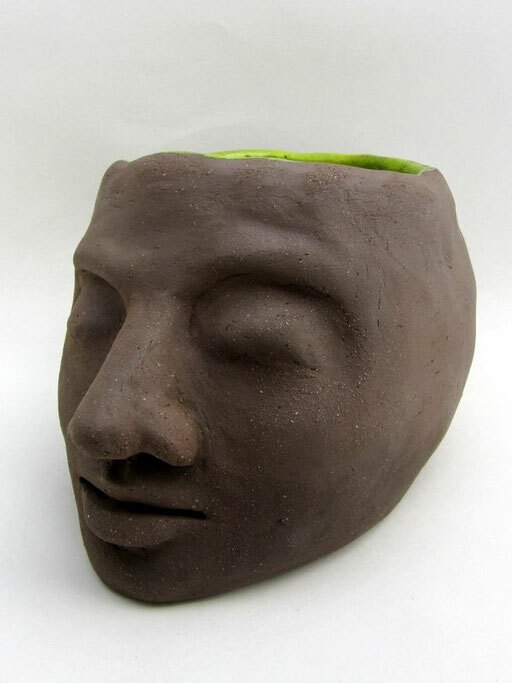 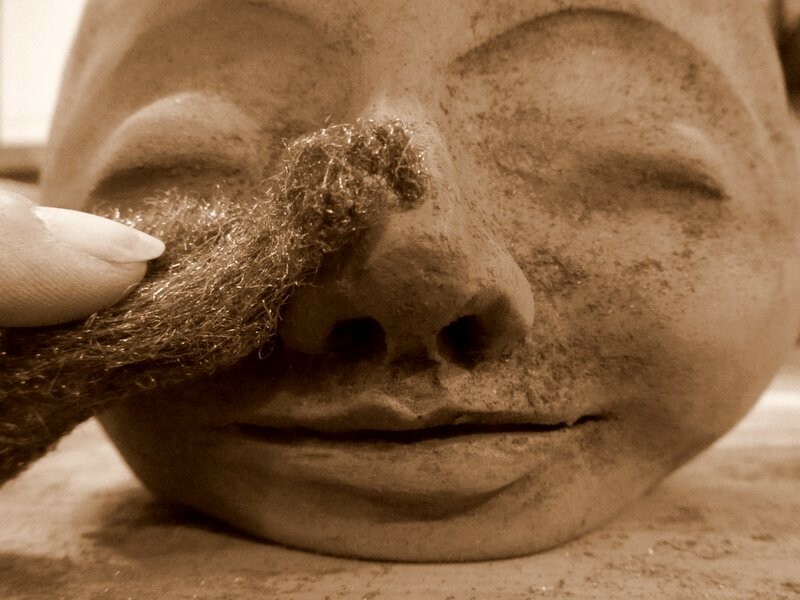 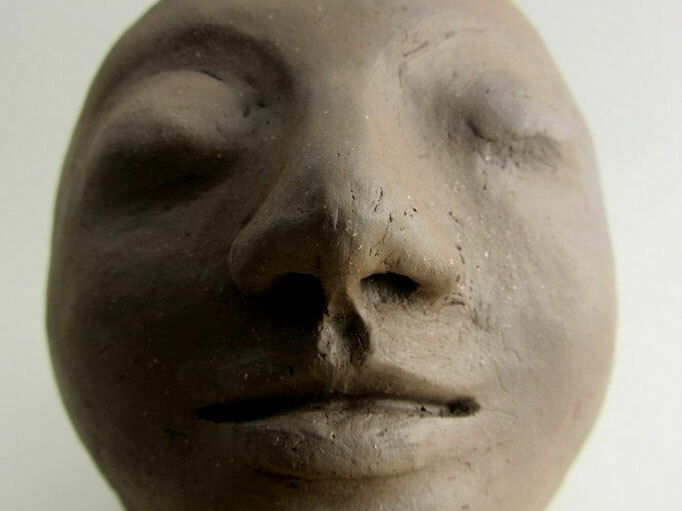 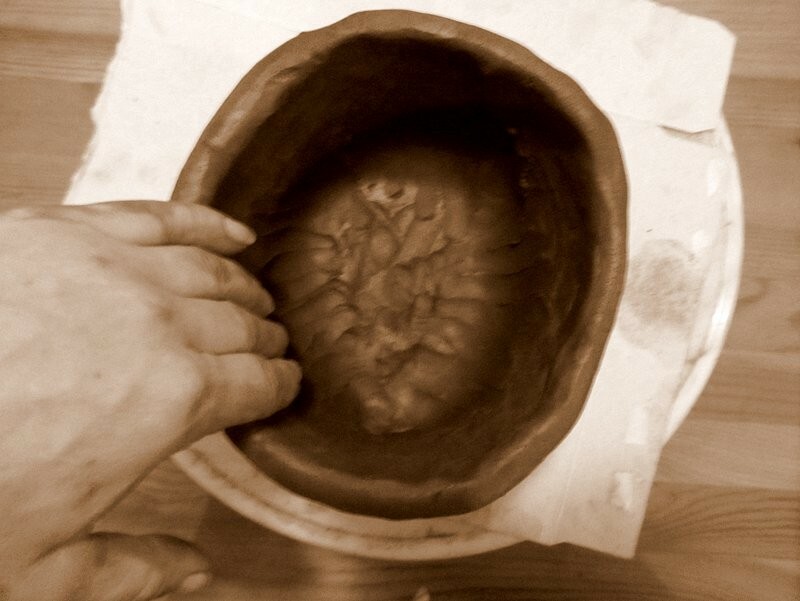 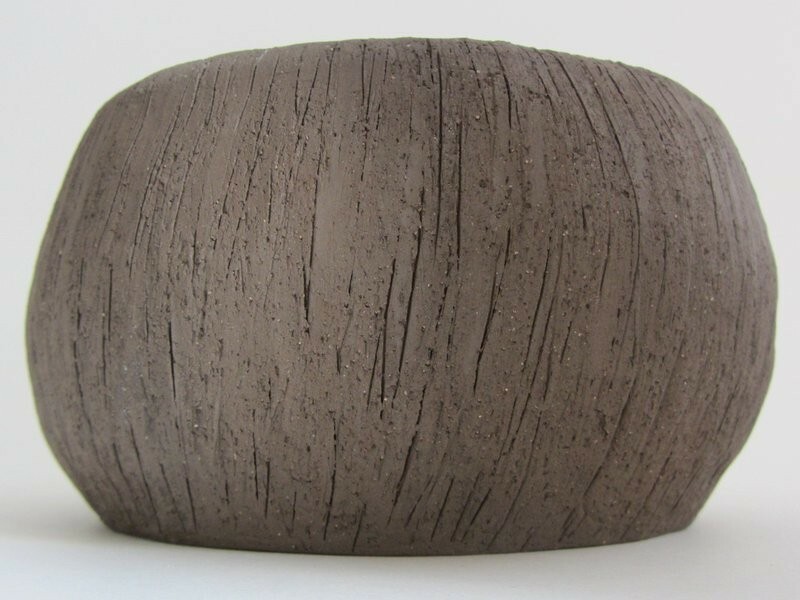 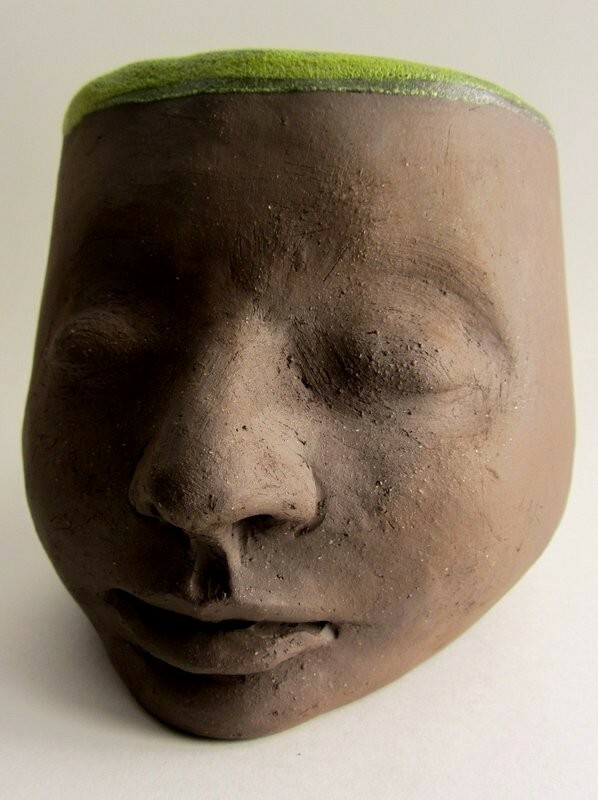 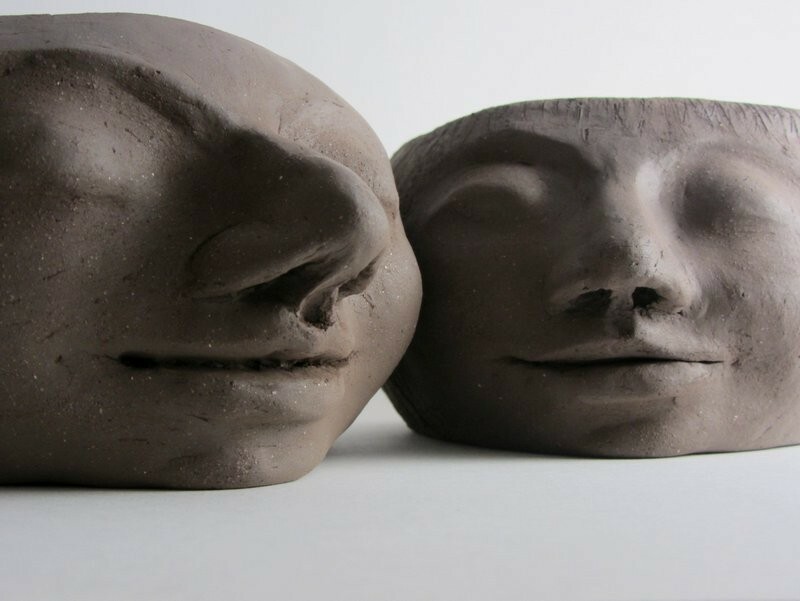 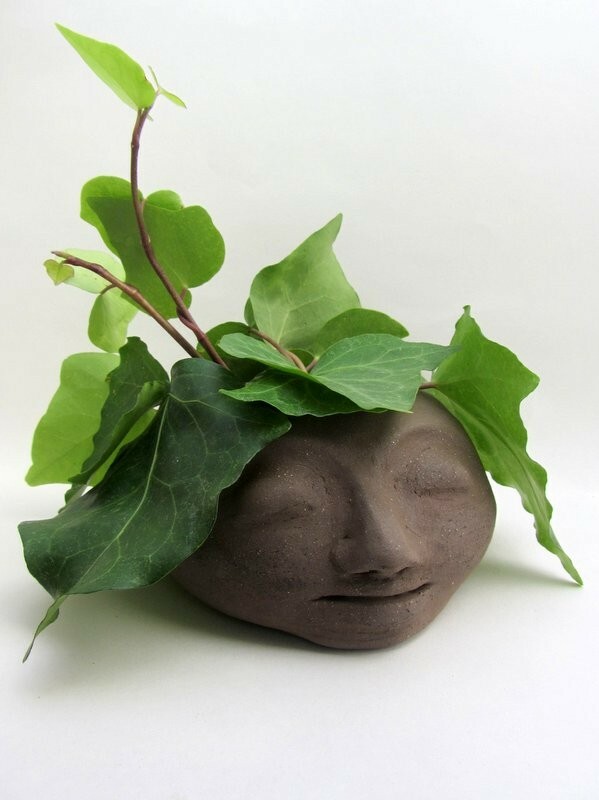 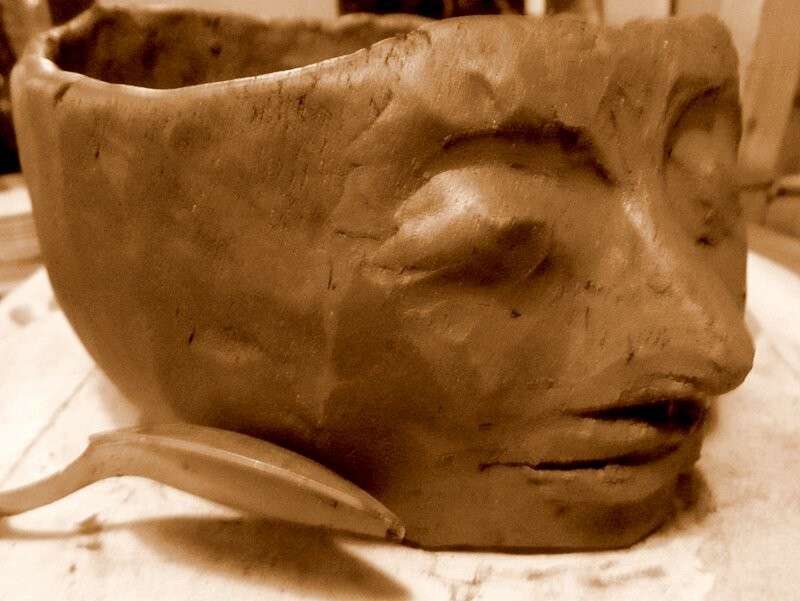 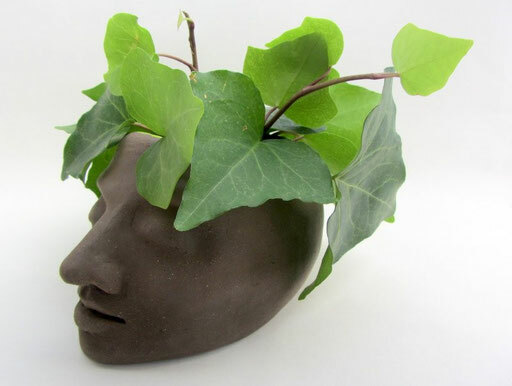 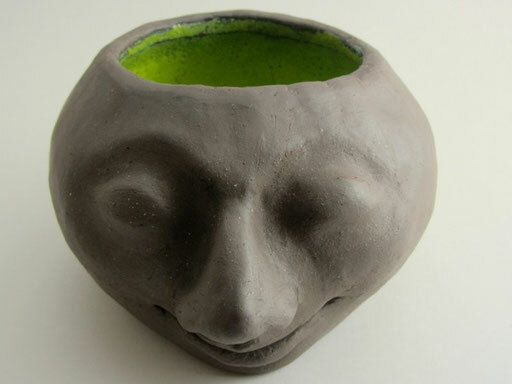 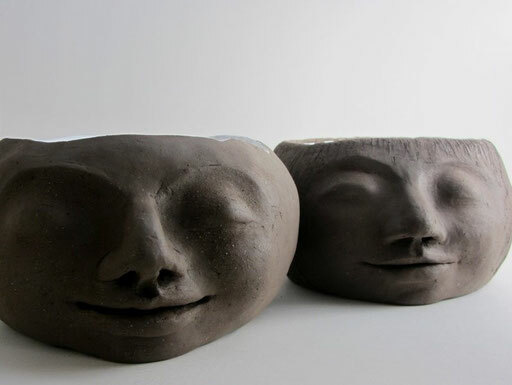 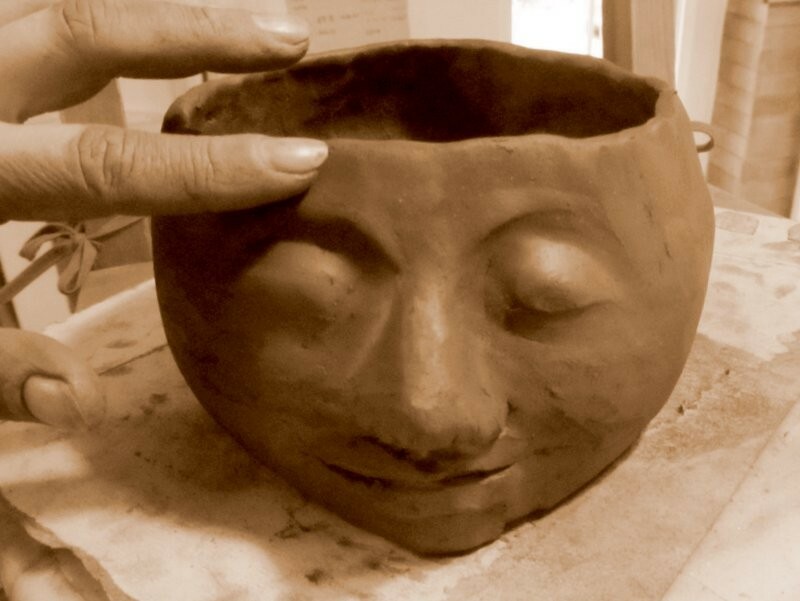 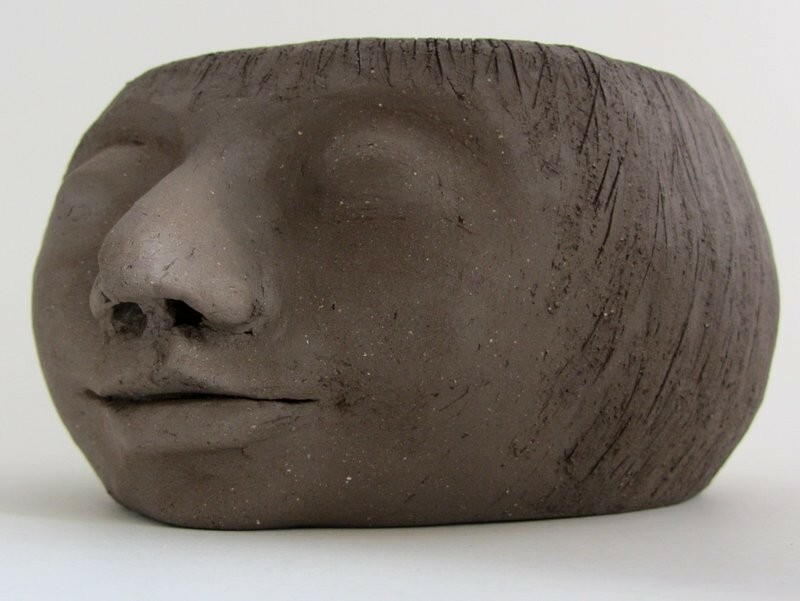 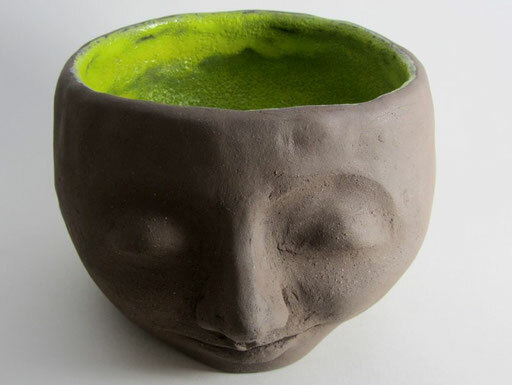 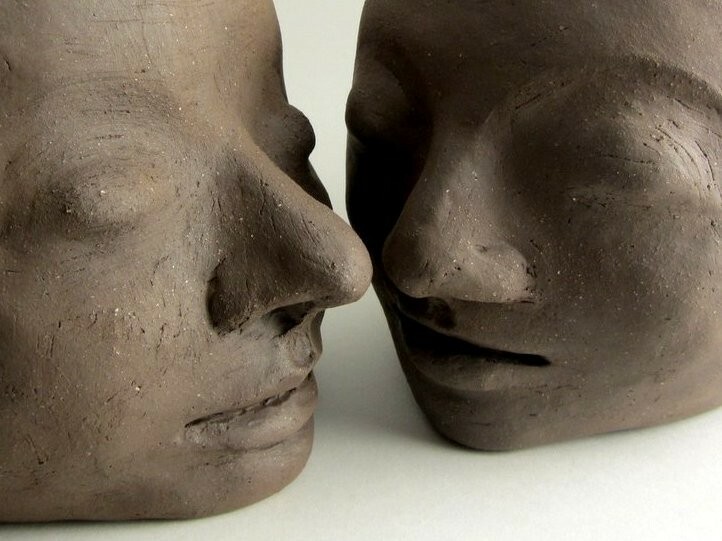 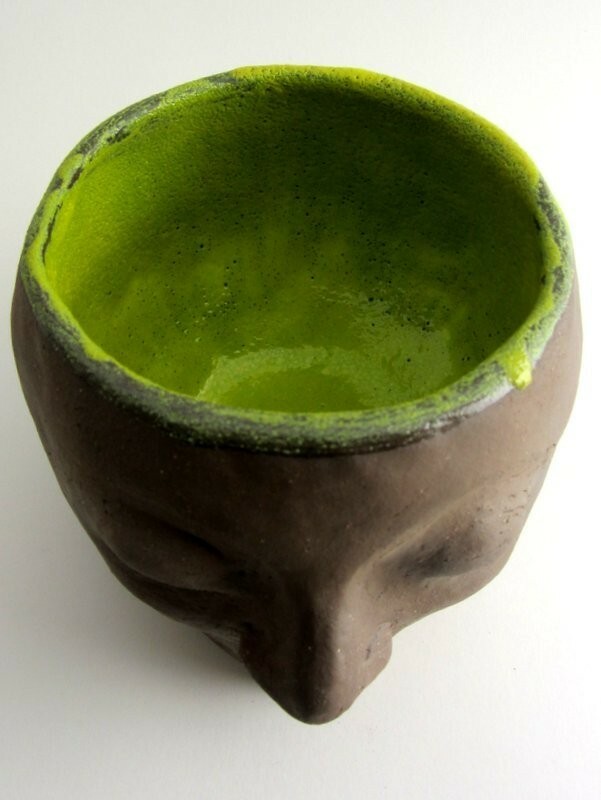 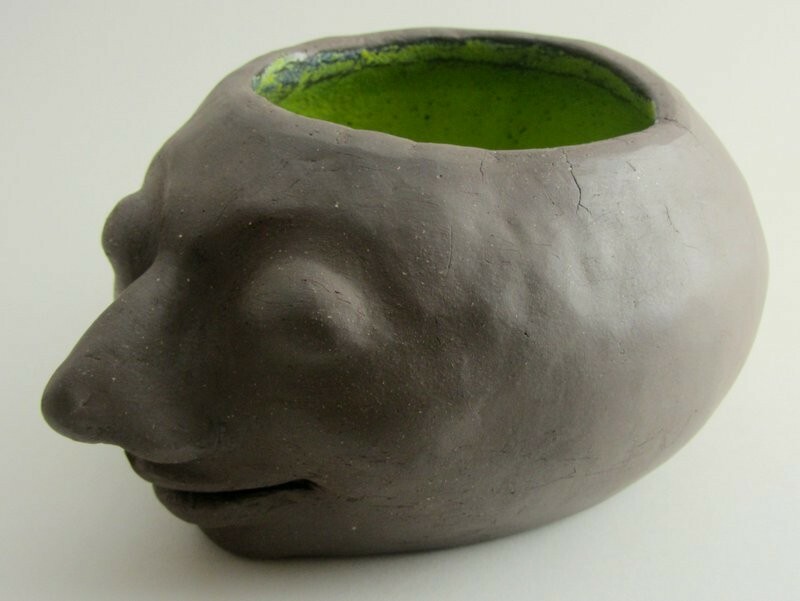 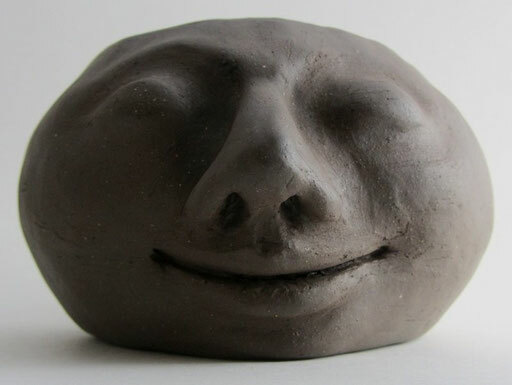 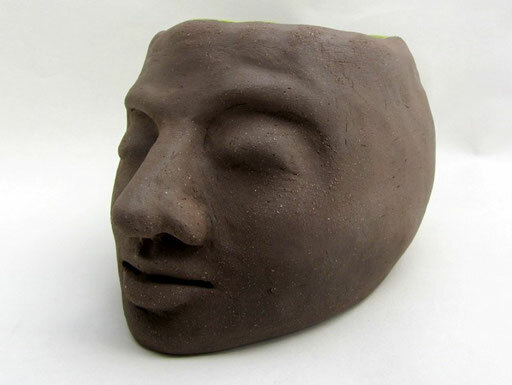 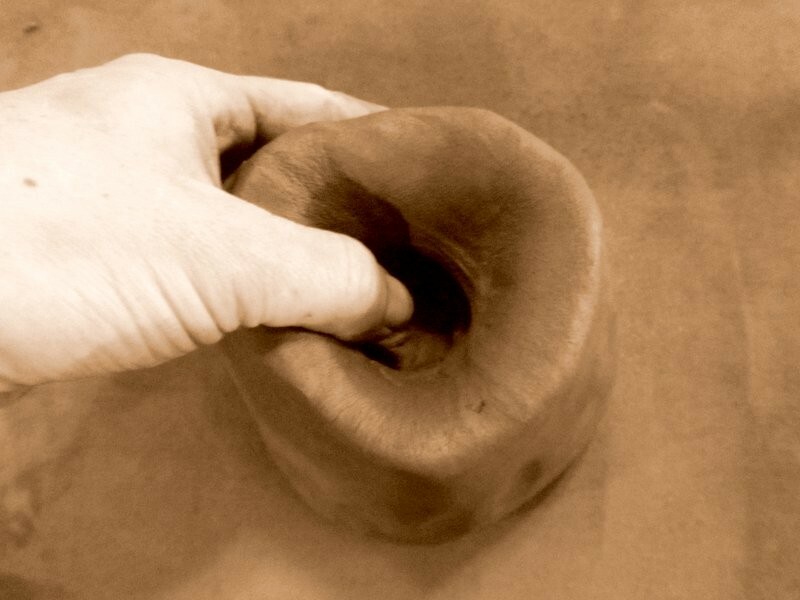 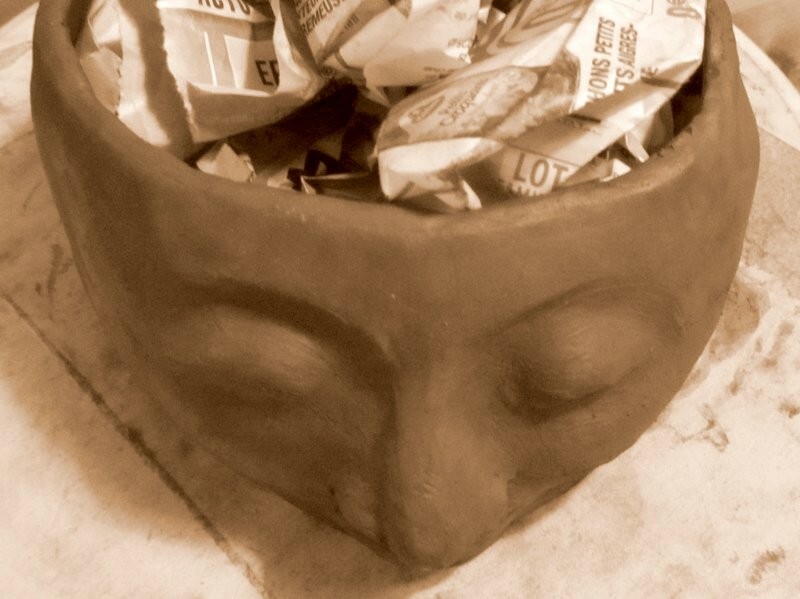 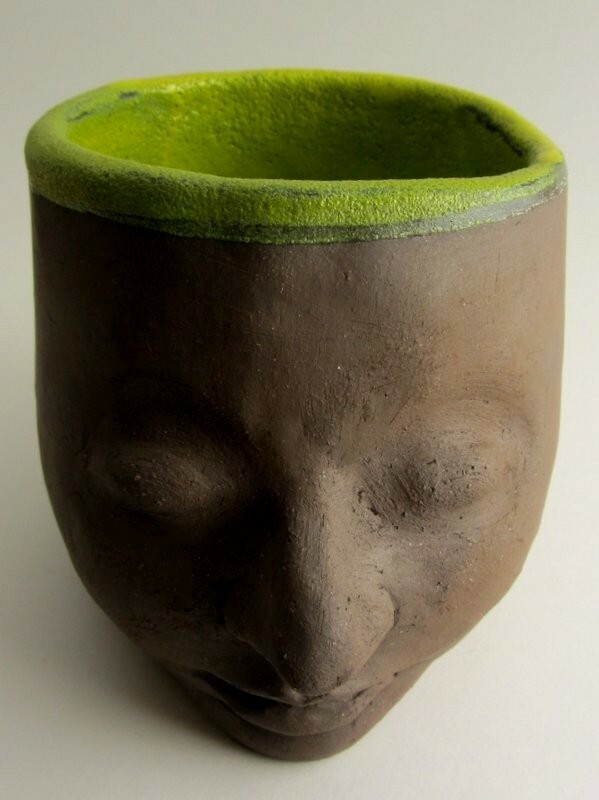 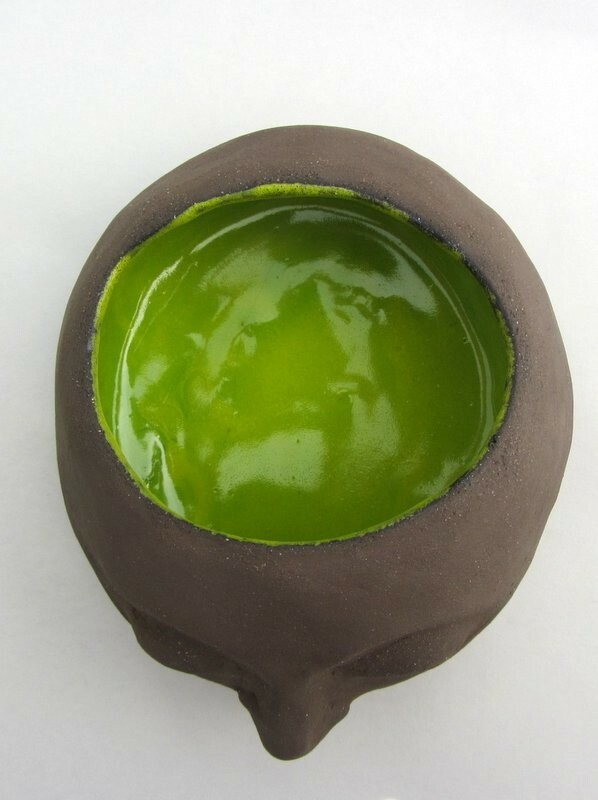 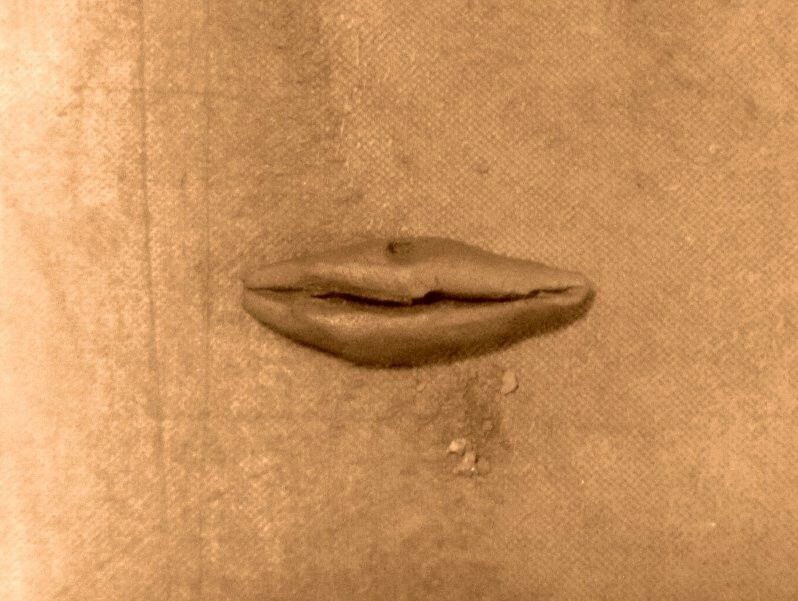 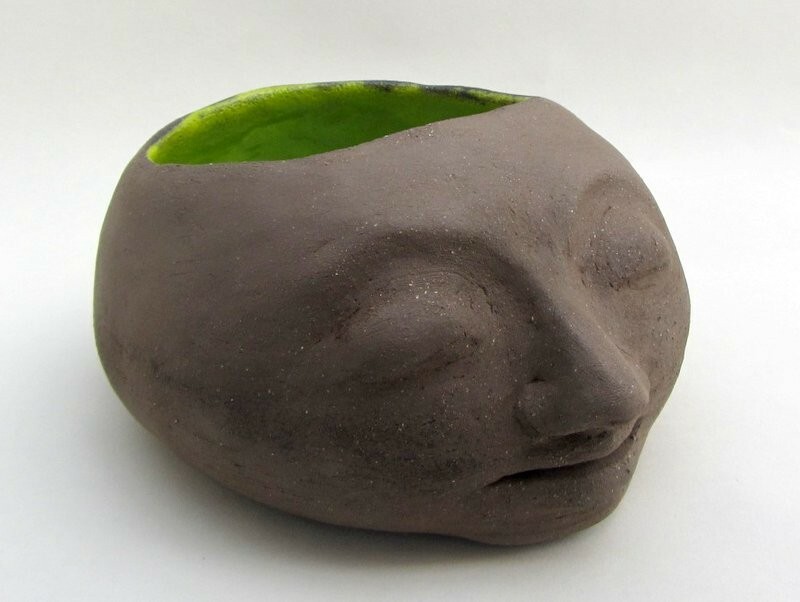 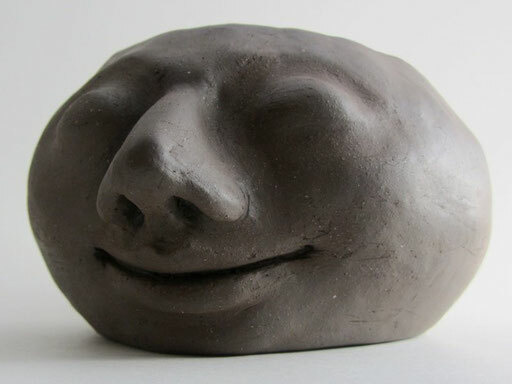 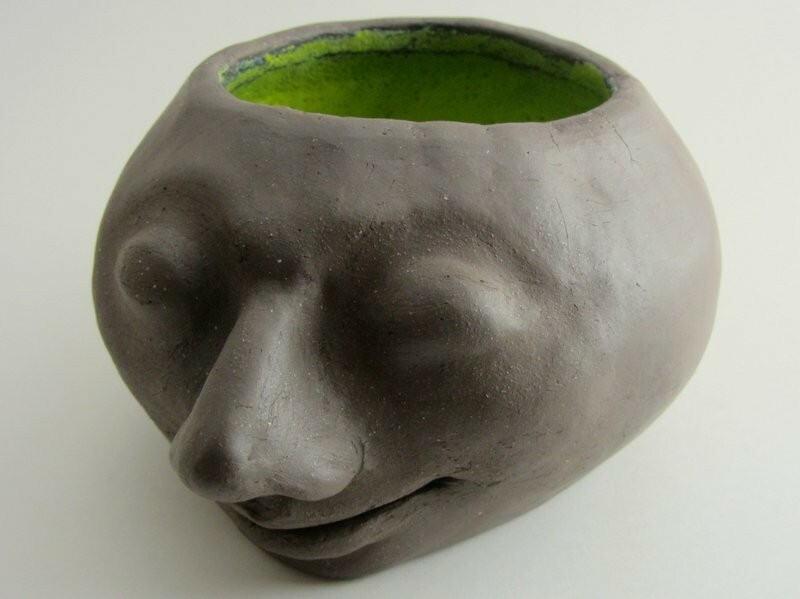 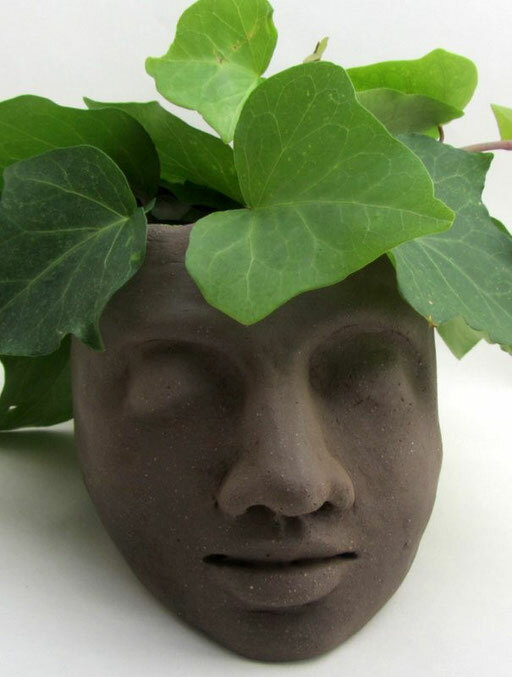 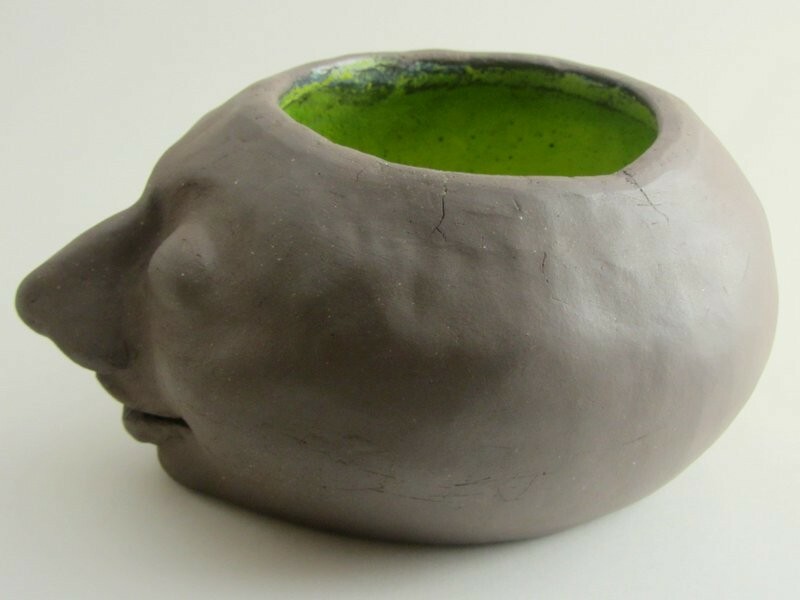 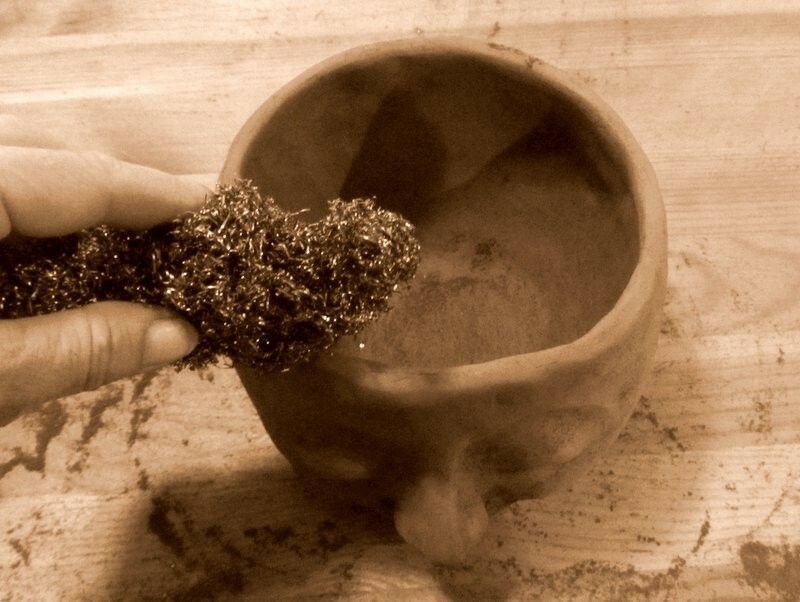 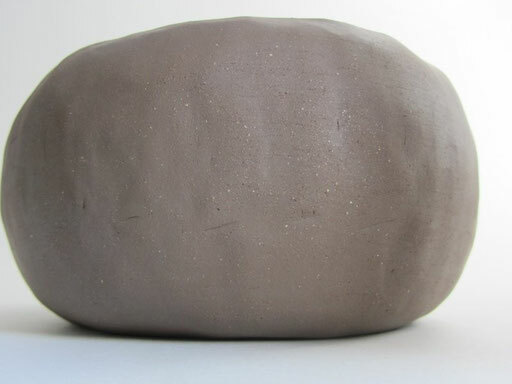 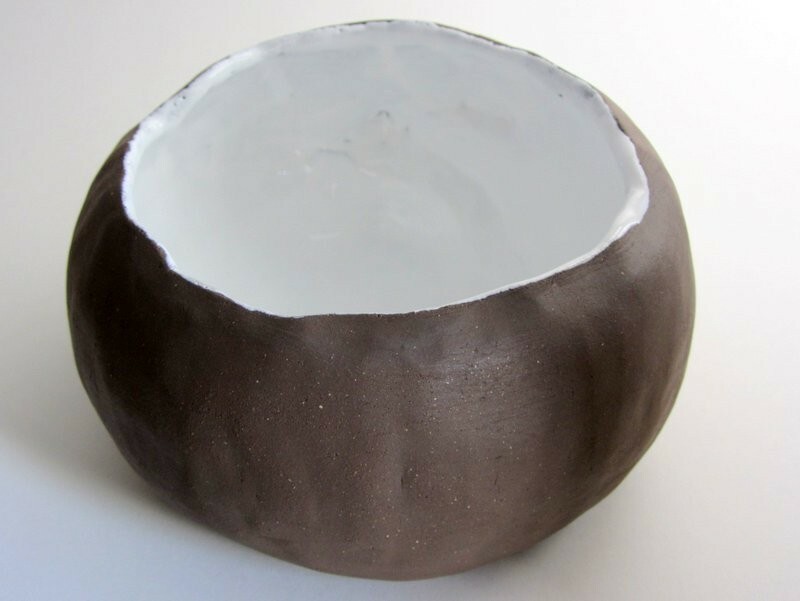 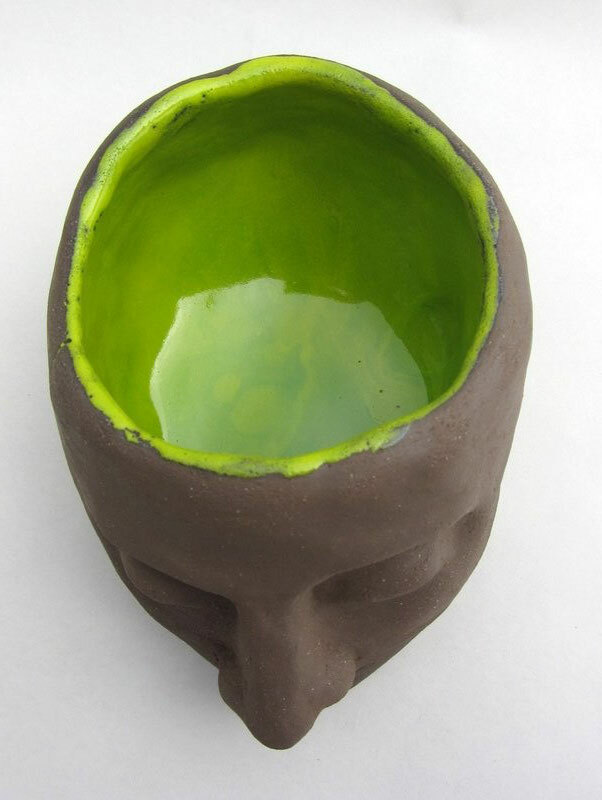 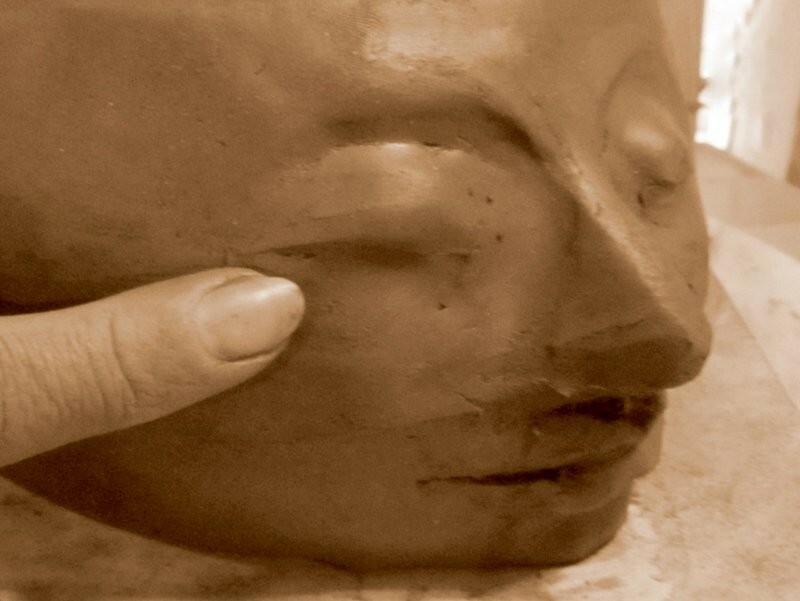 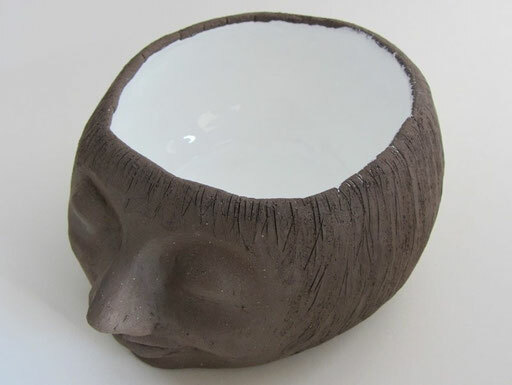 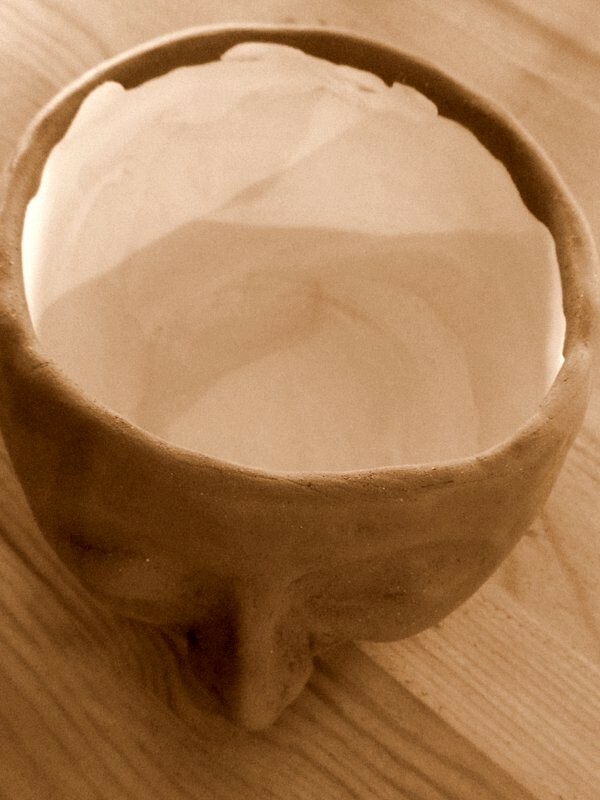 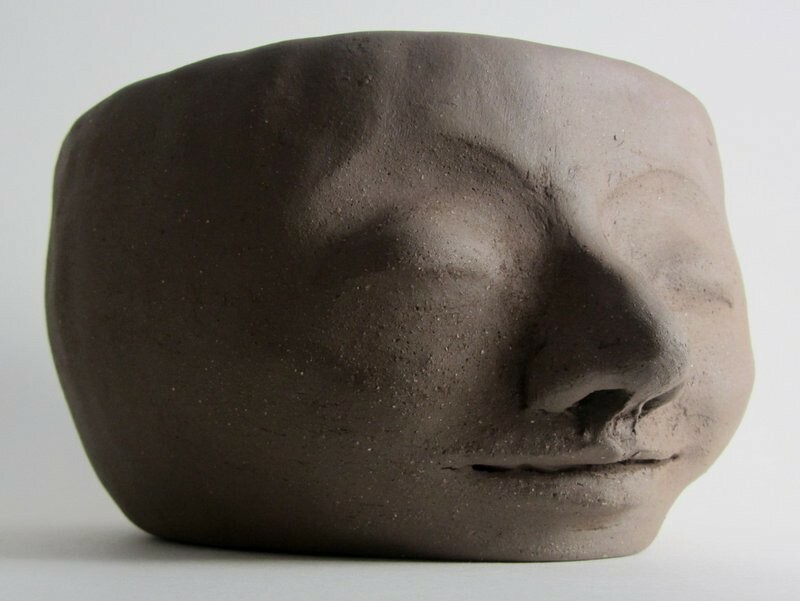 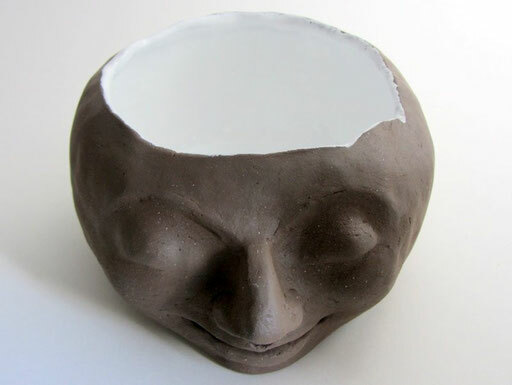 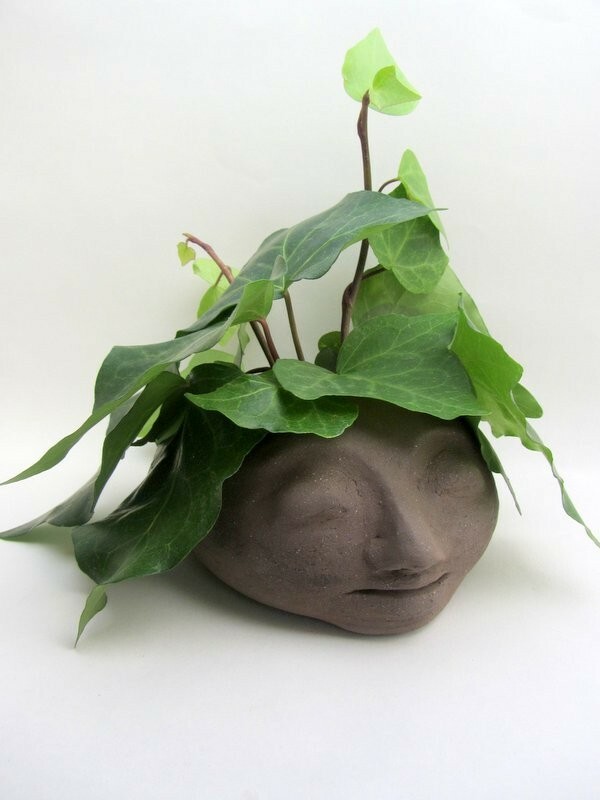 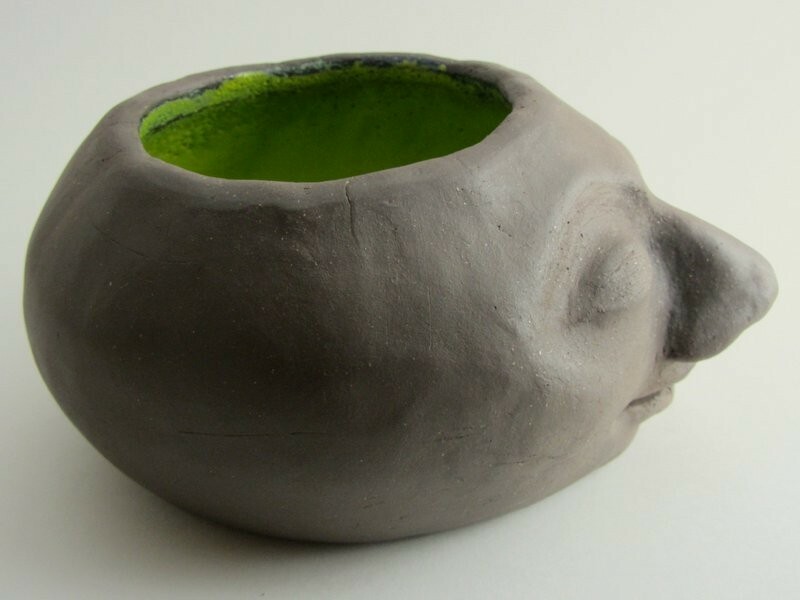 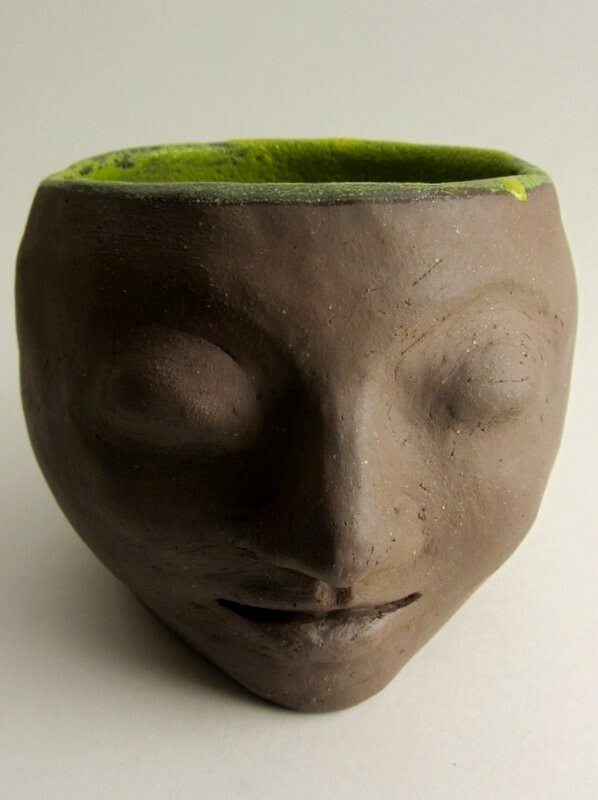 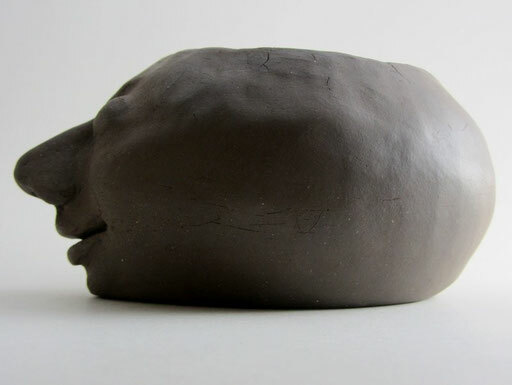 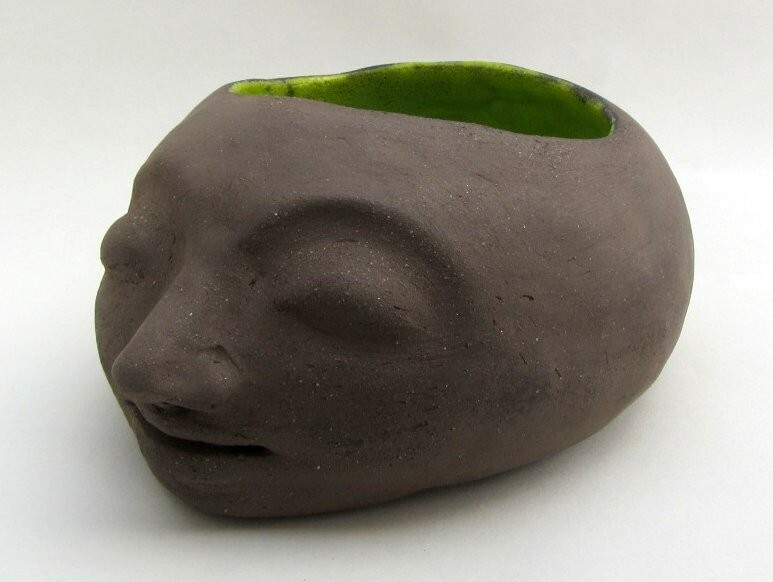 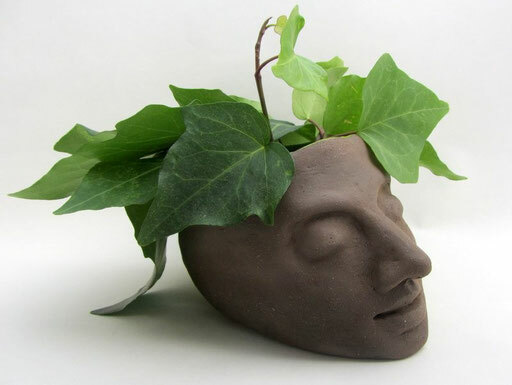 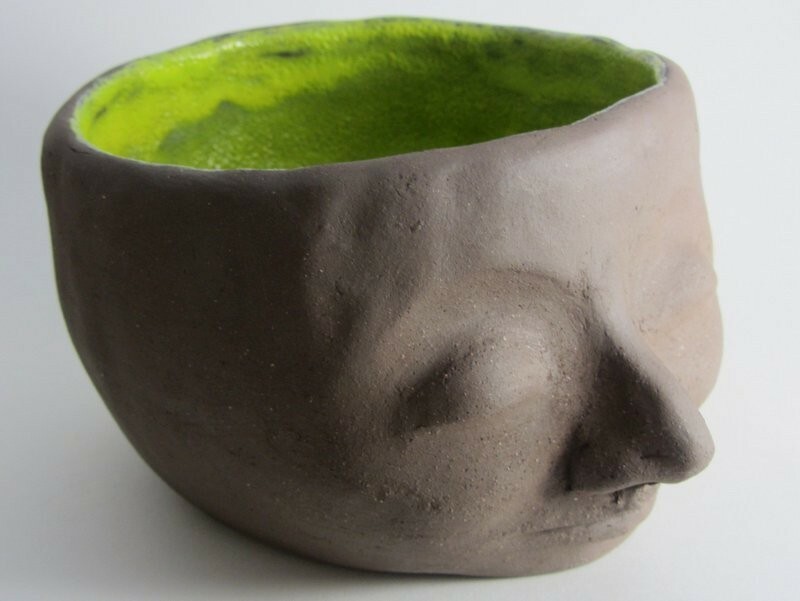 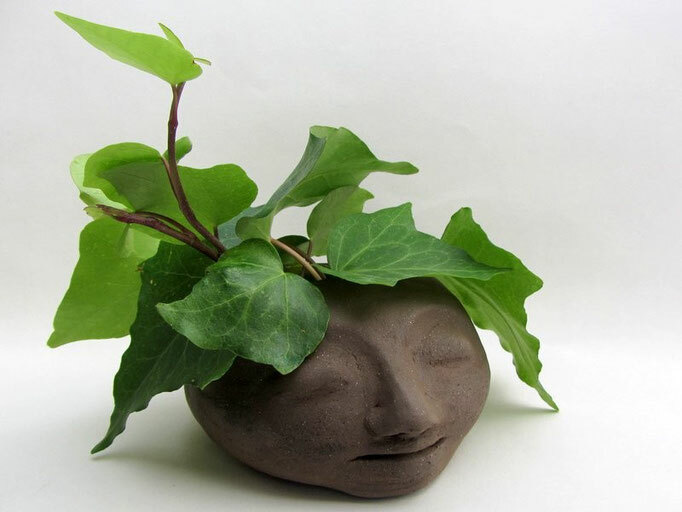 "The head is round so that thoughts can change direction"
Pushing the thumb in the center of the clay cylinder. 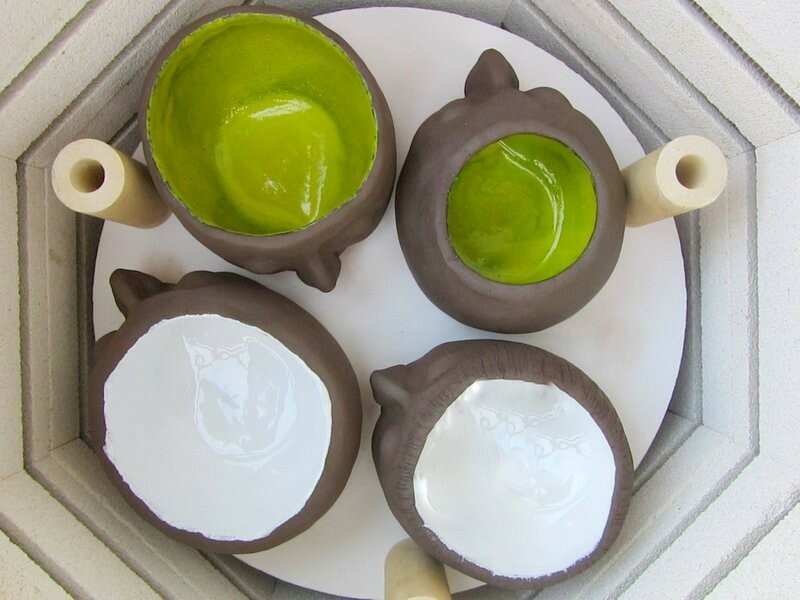 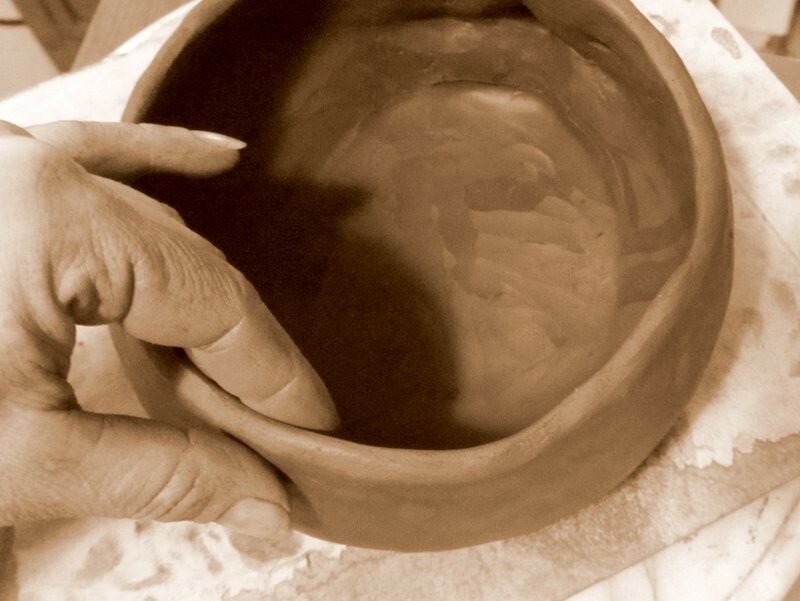 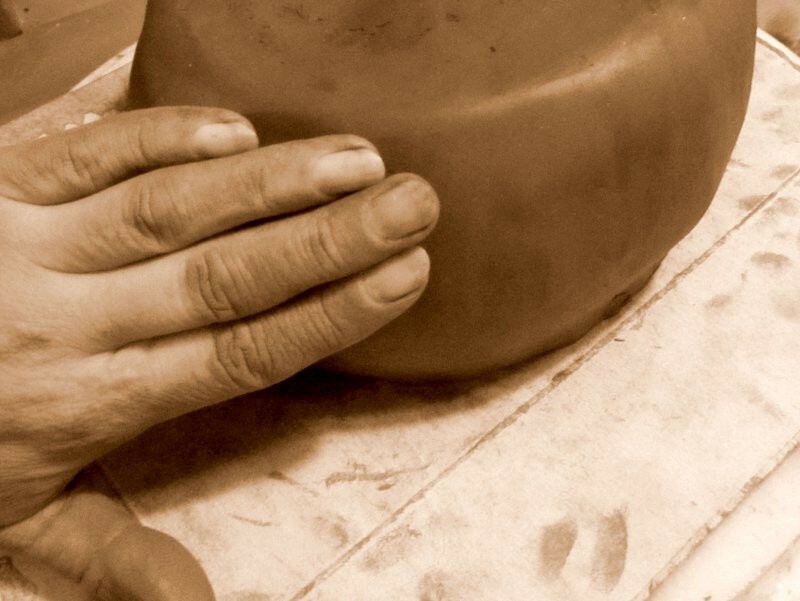 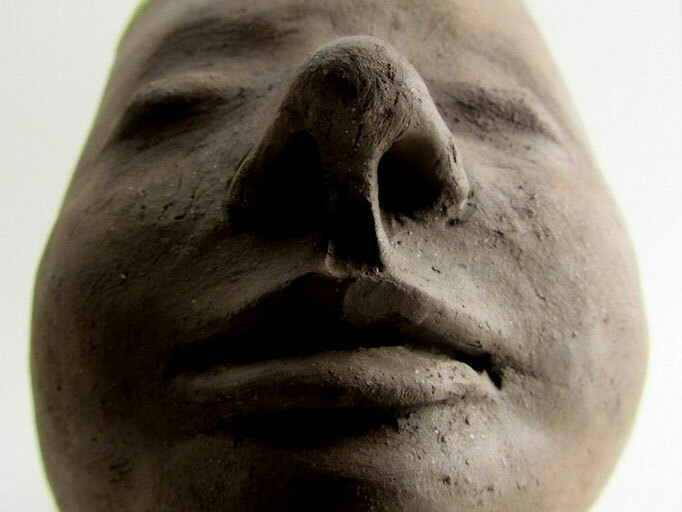 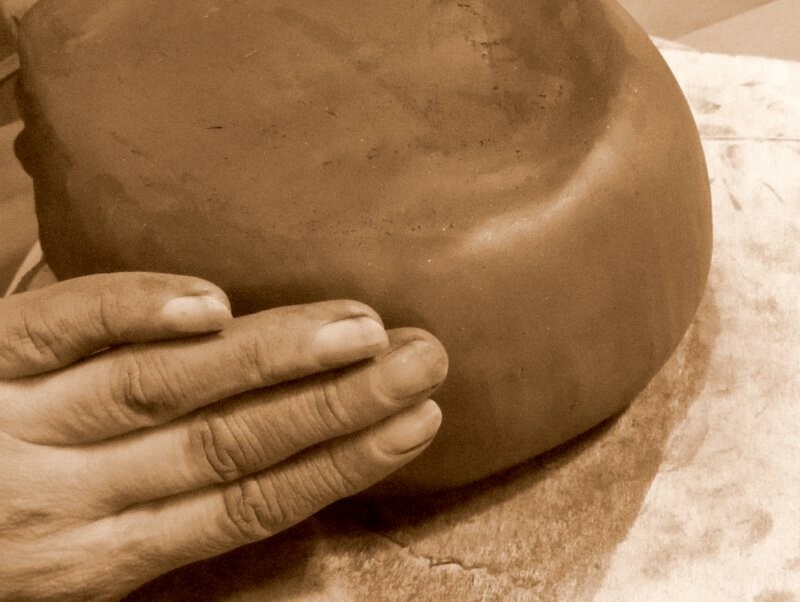 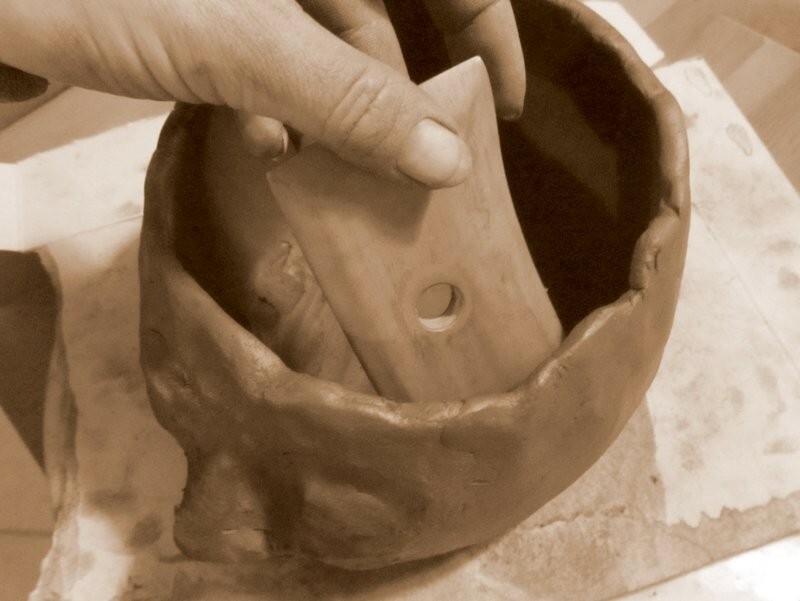 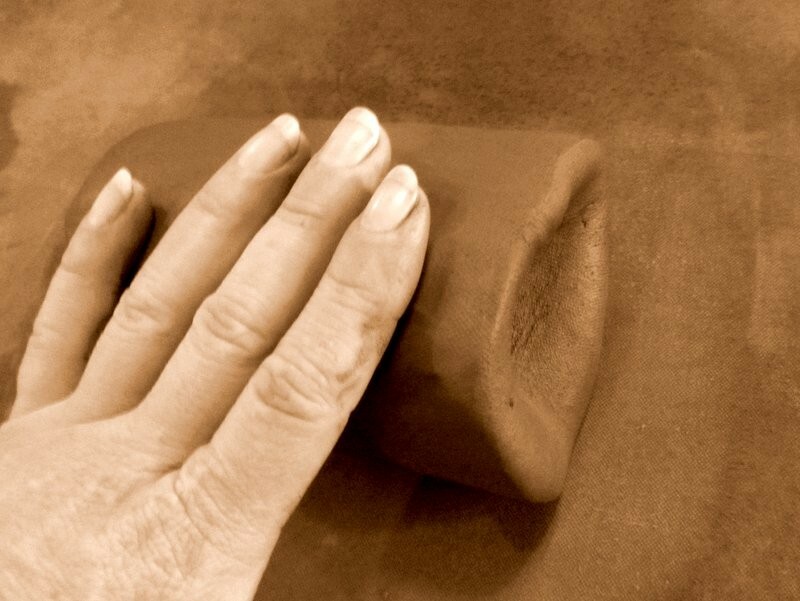 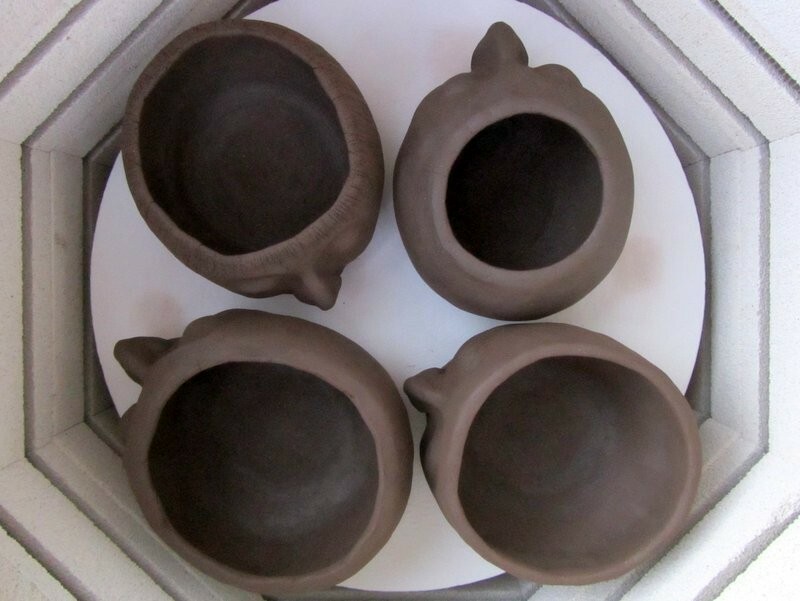 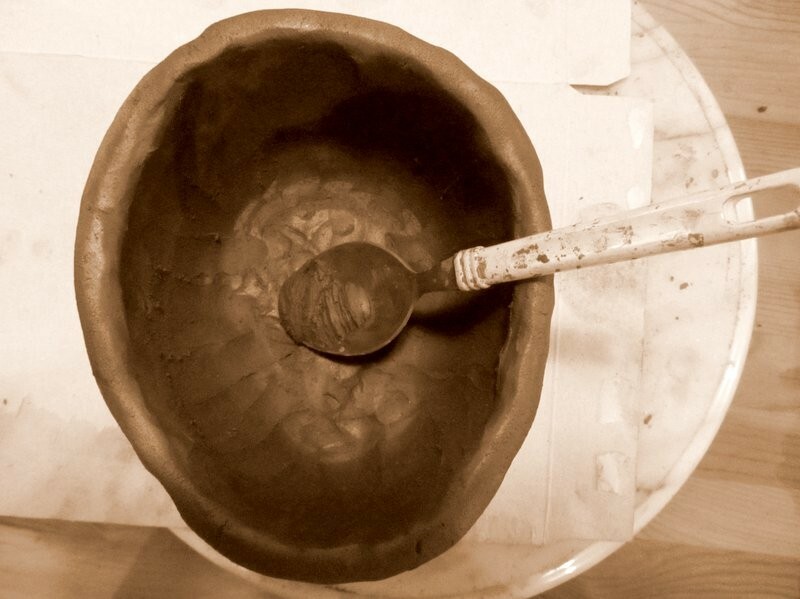 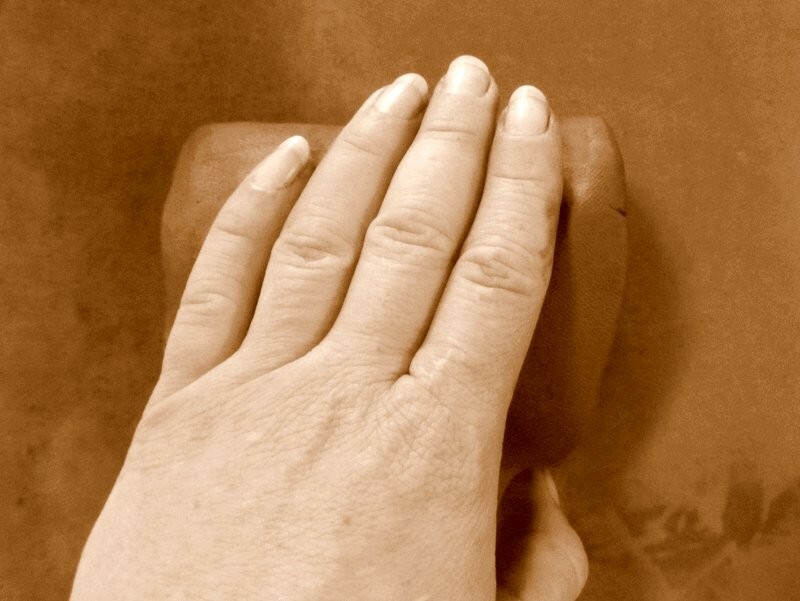 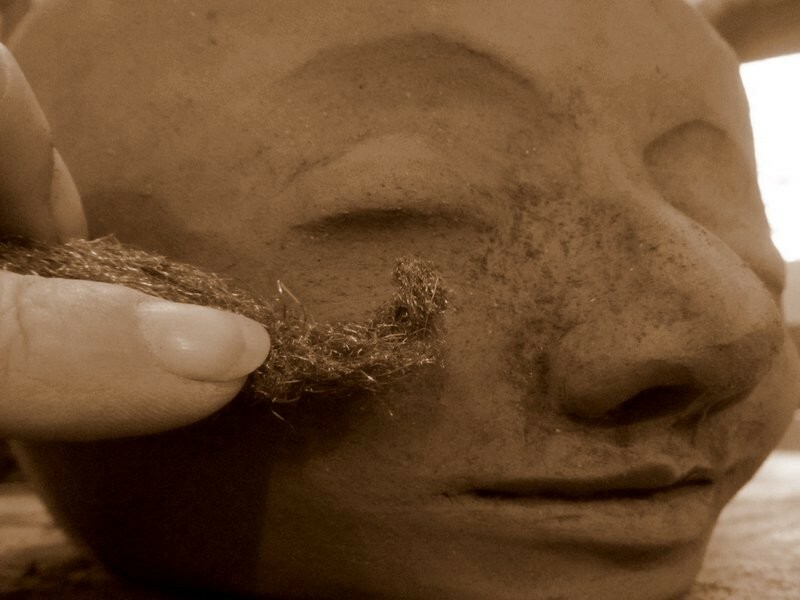 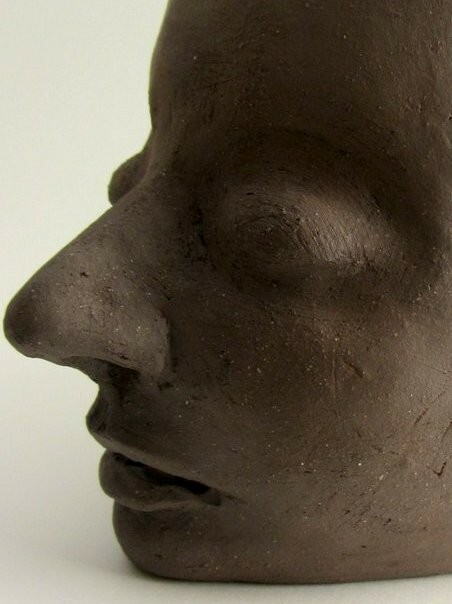 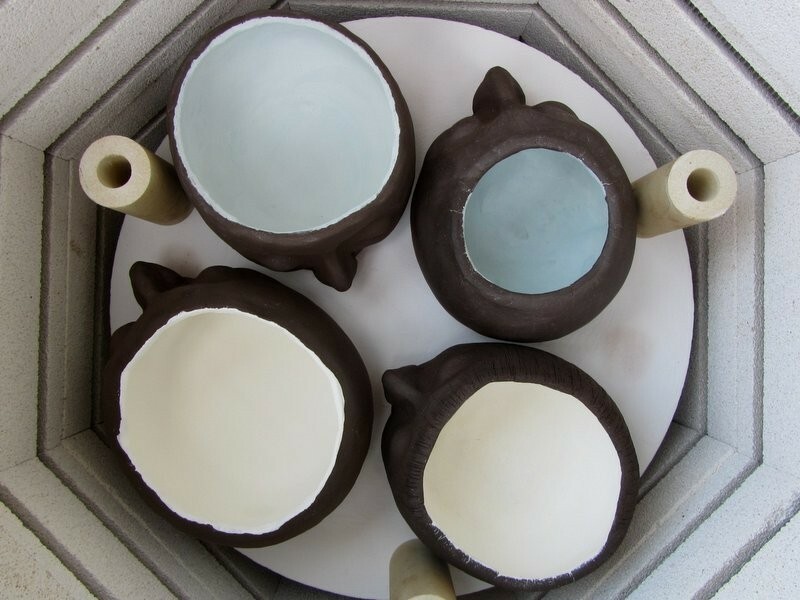 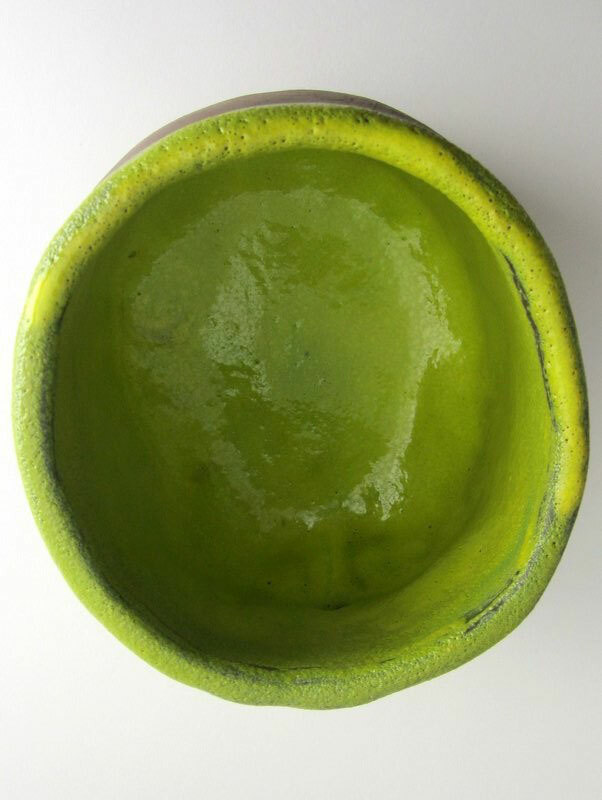 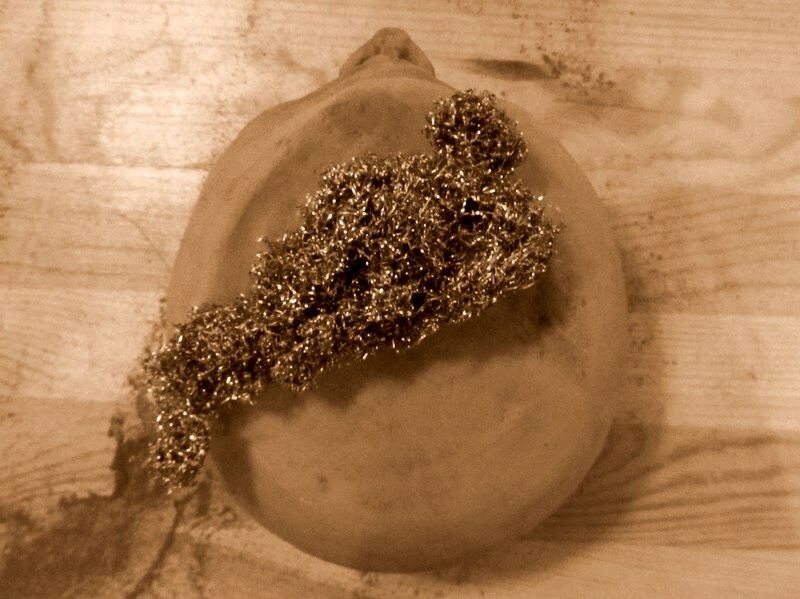 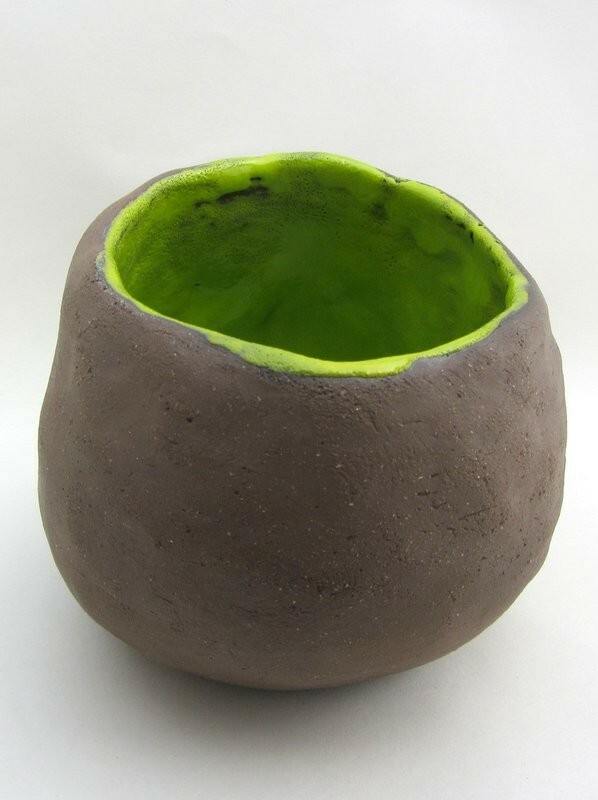 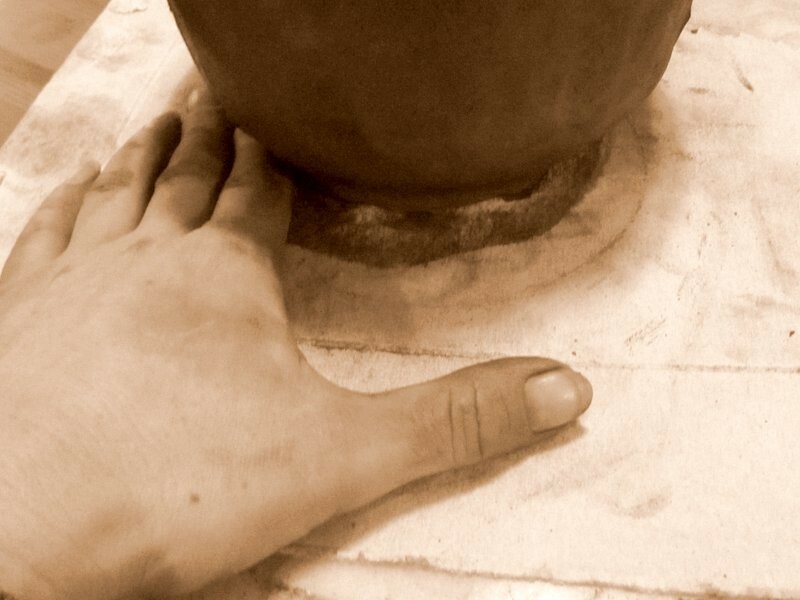 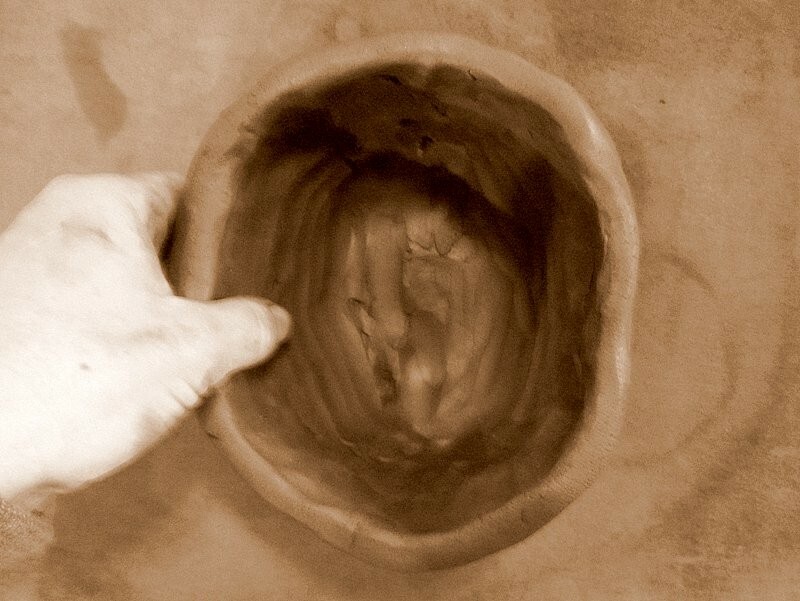 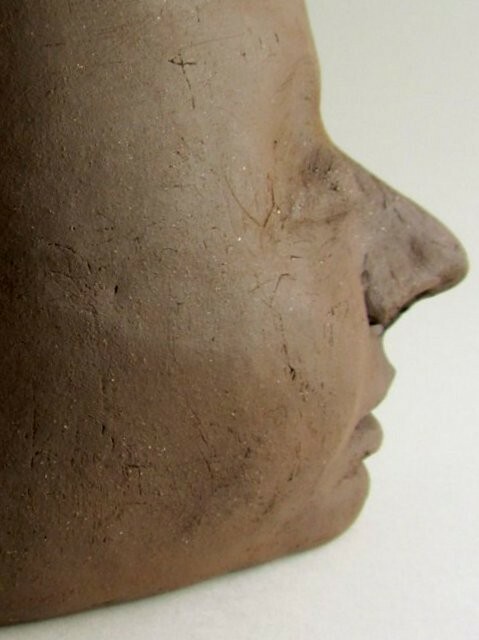 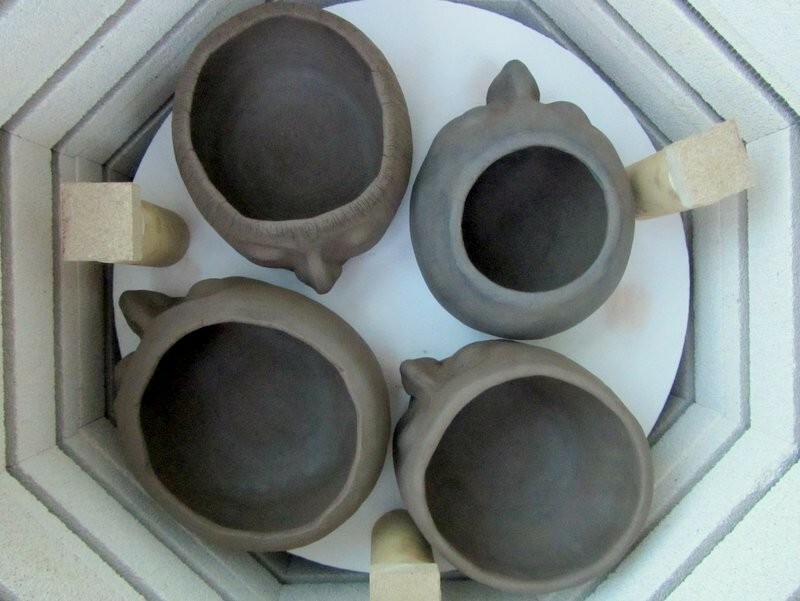 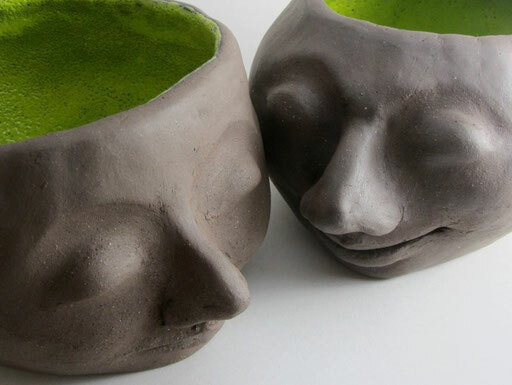 Pinching and pressing the clay upward with thumb and index finger. 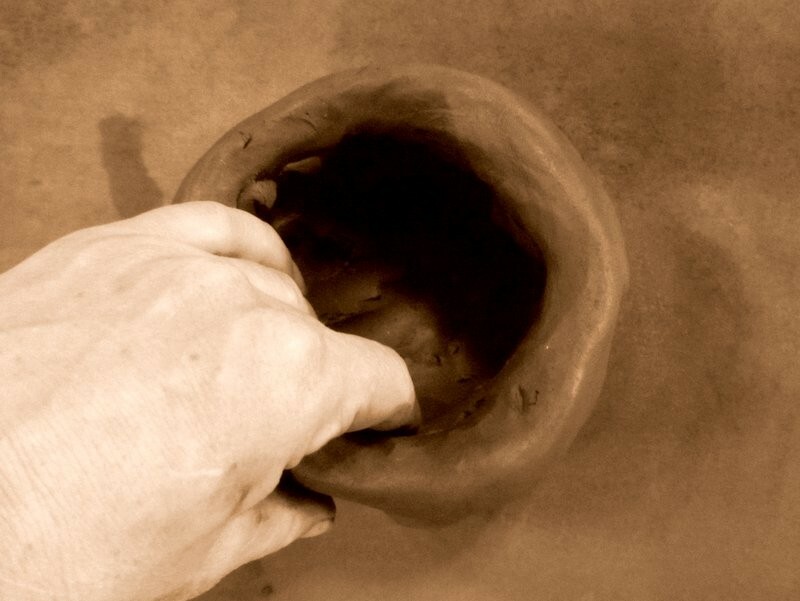 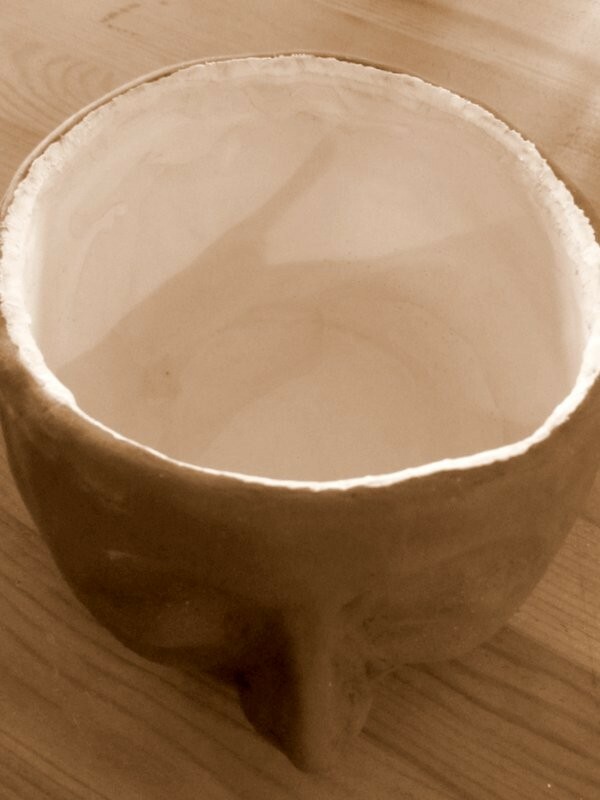 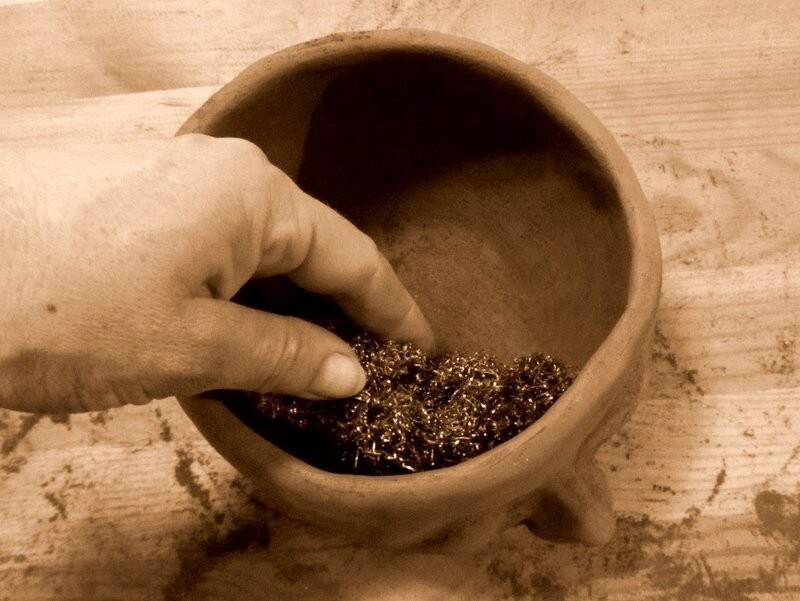 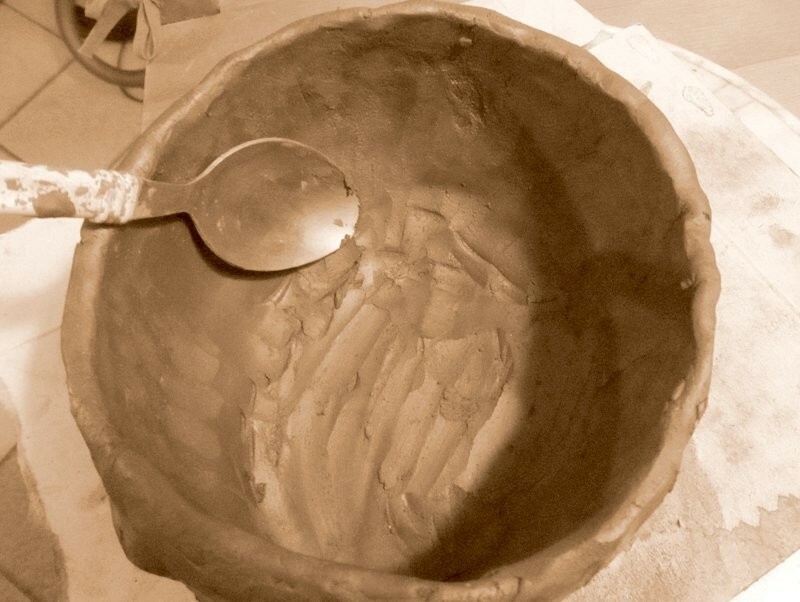 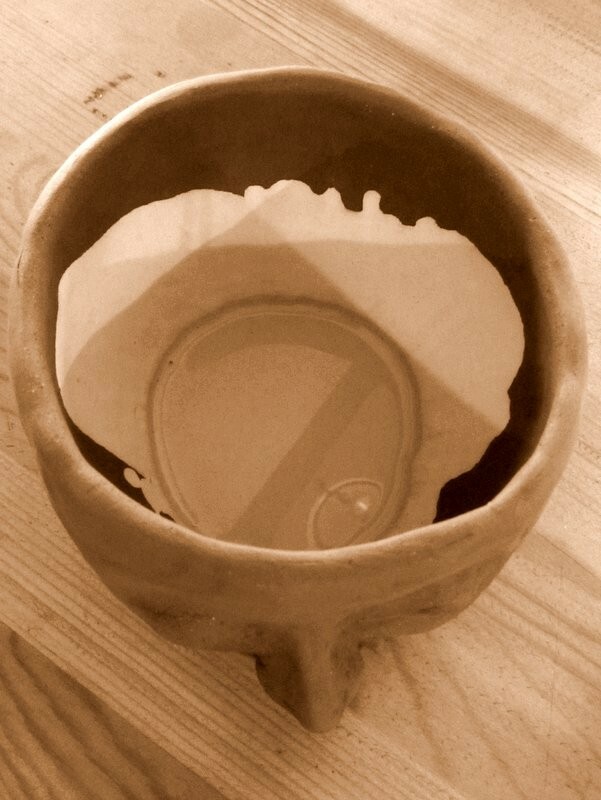 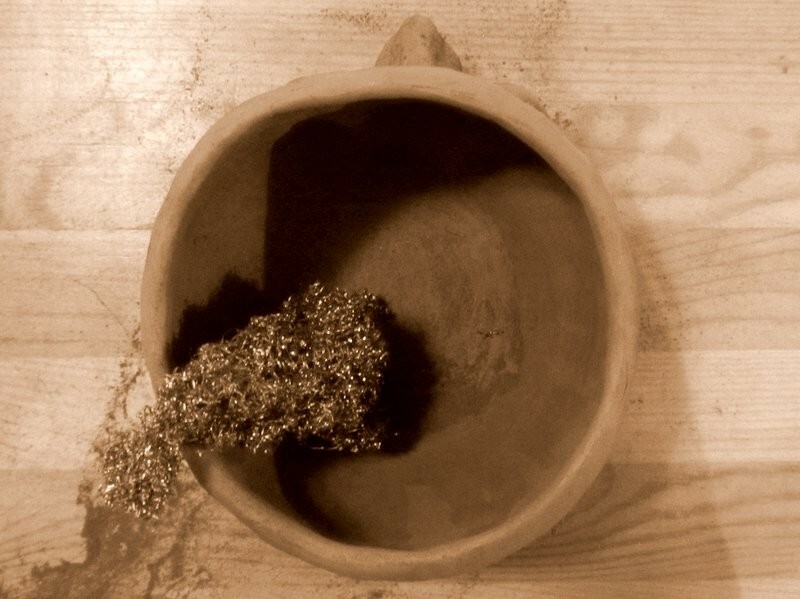 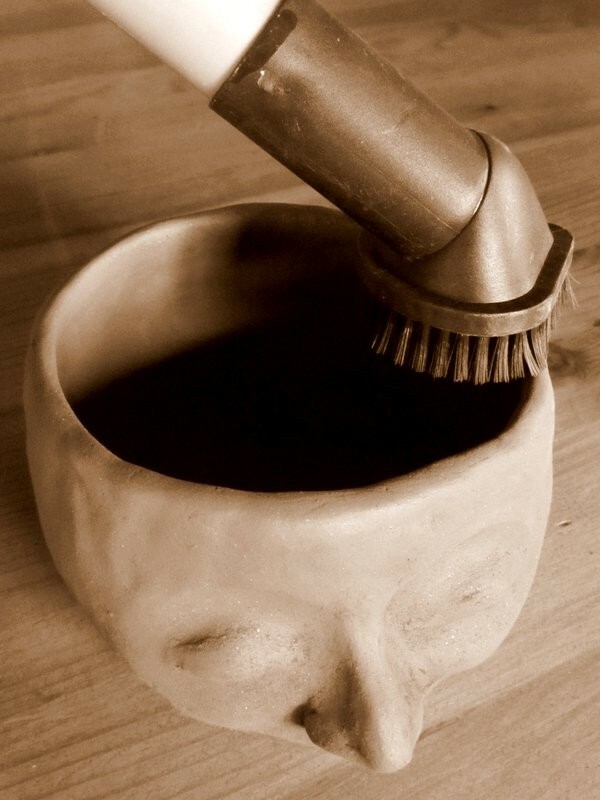 Scraping surplus clay out of the interior and widening the pot.